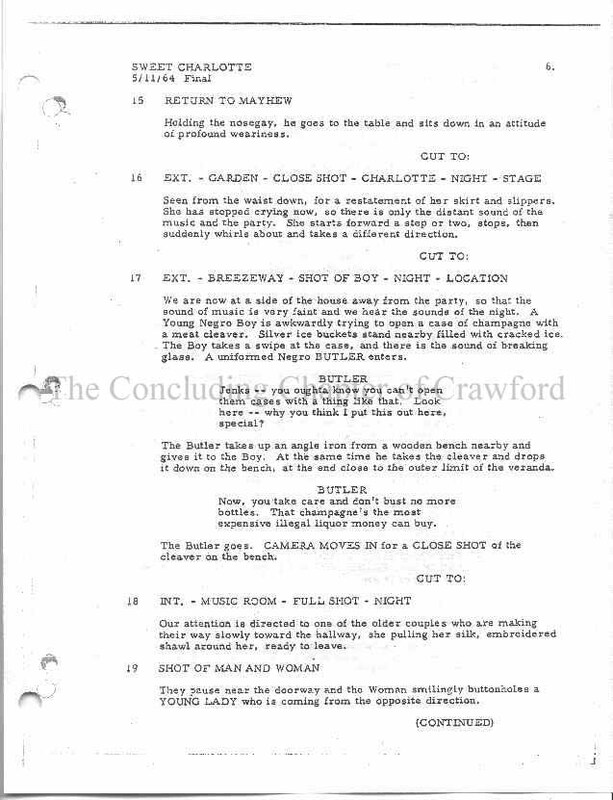 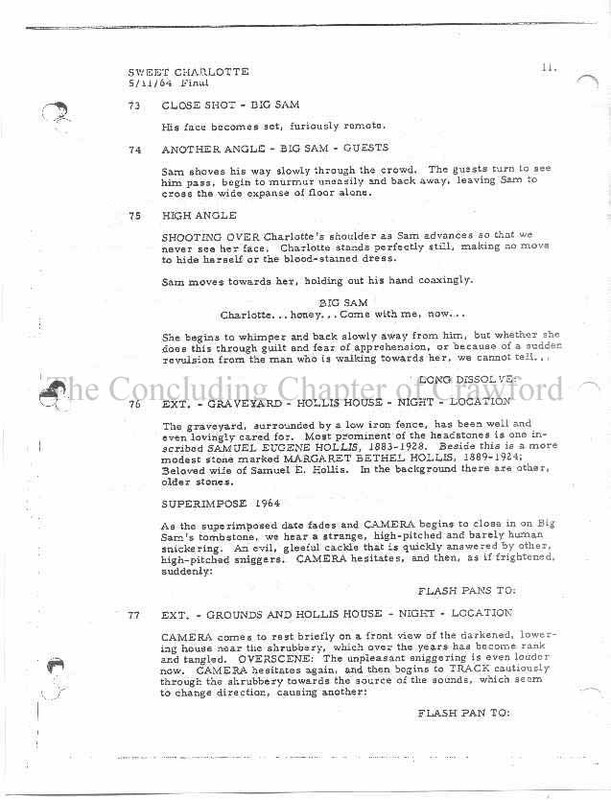 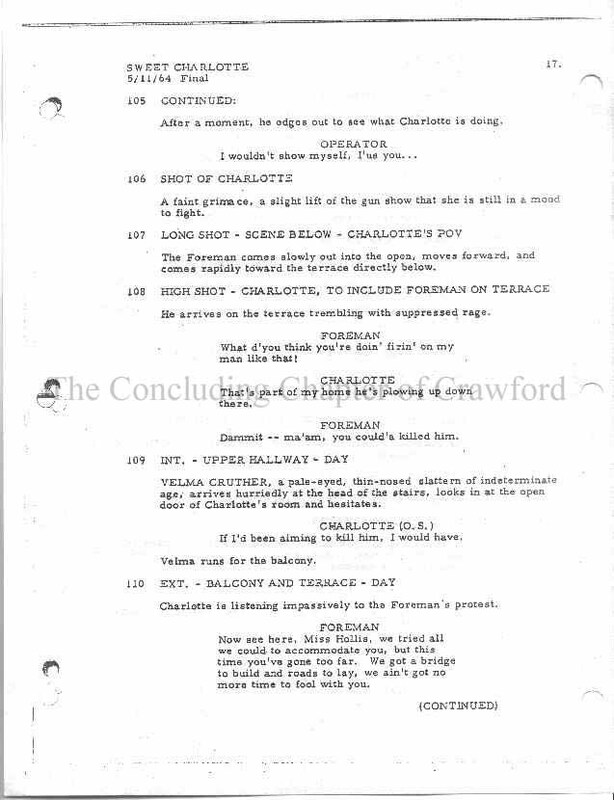 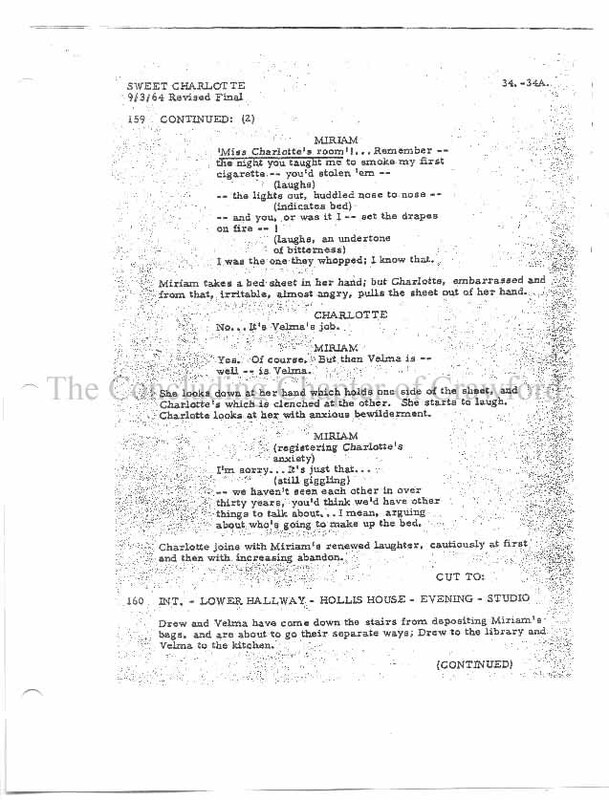 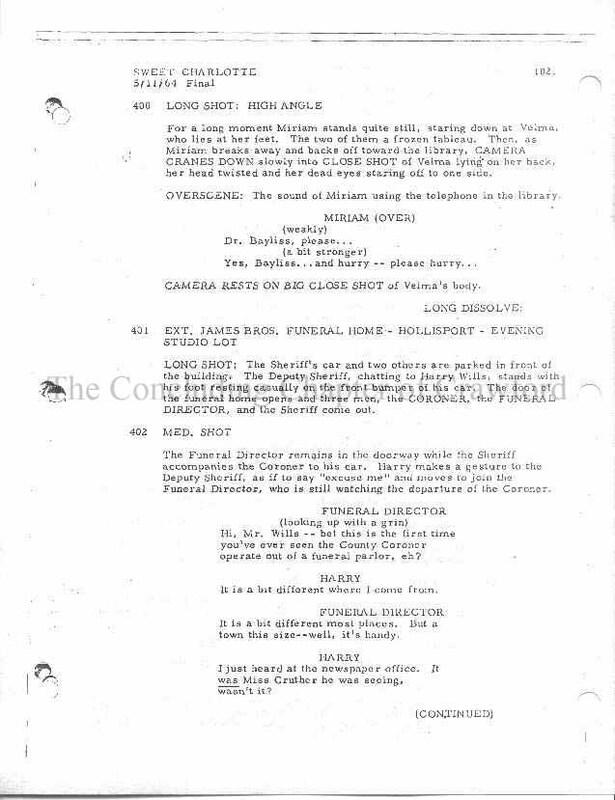 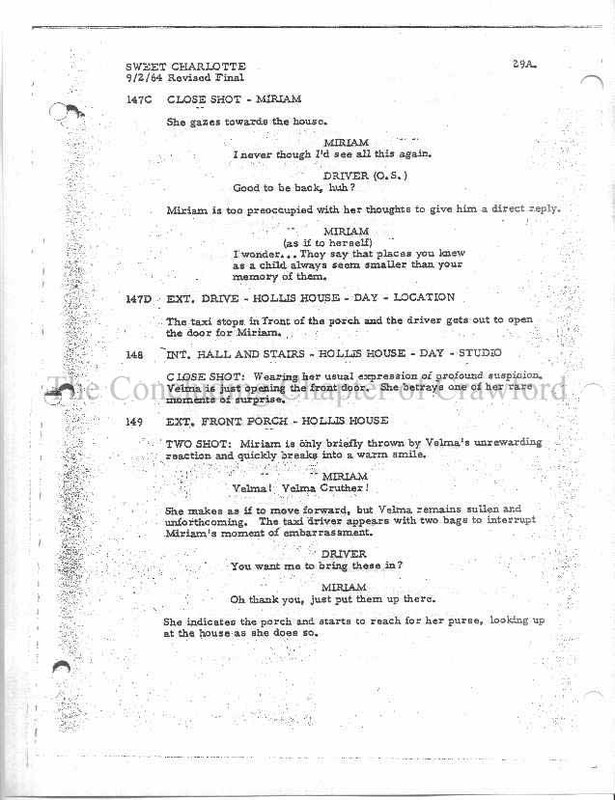 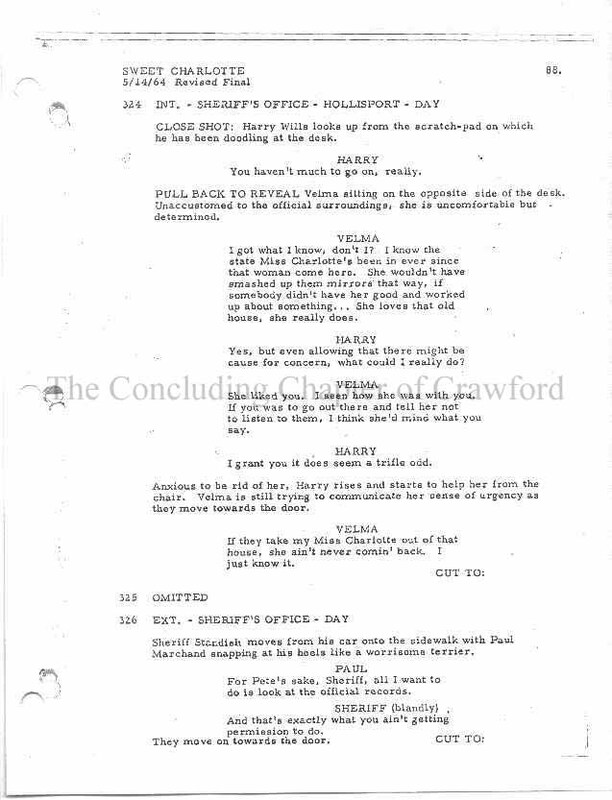 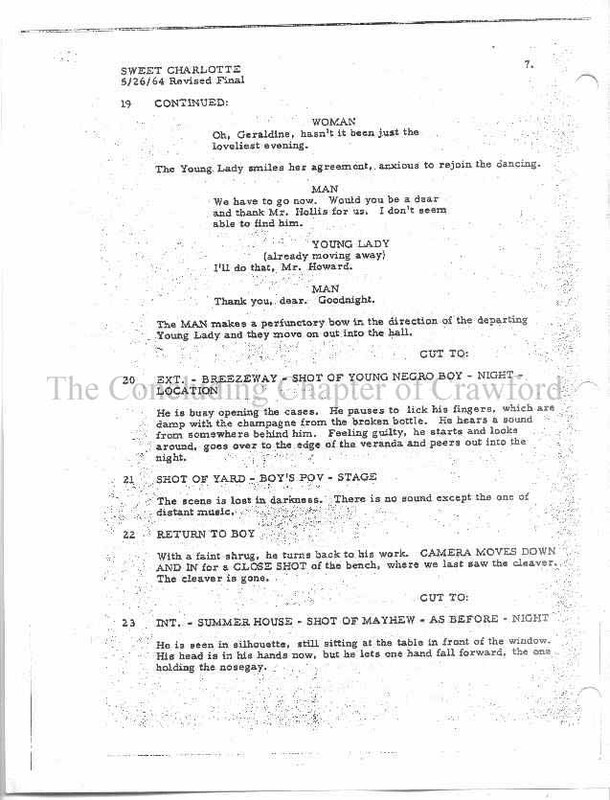 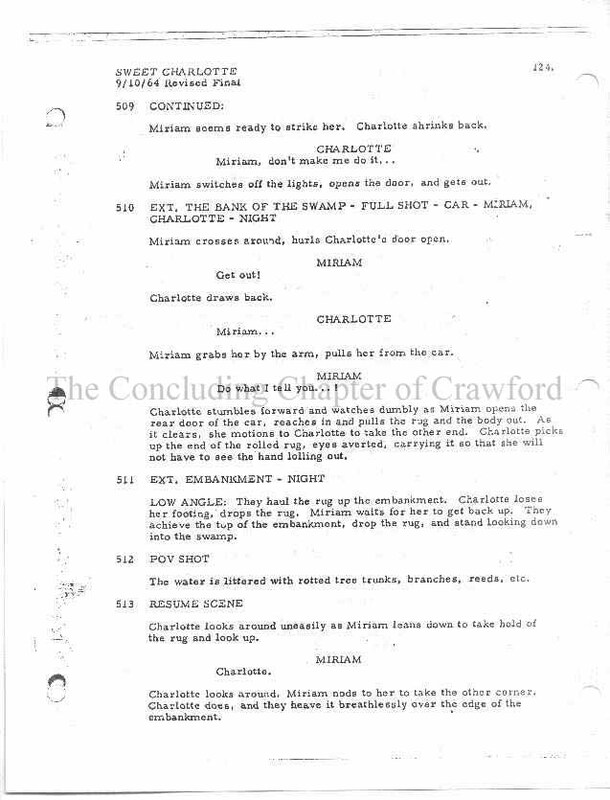 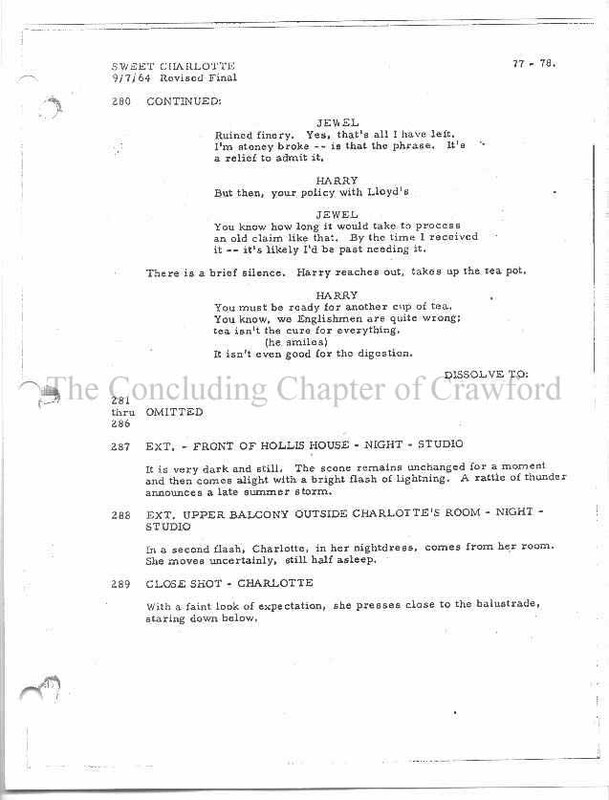 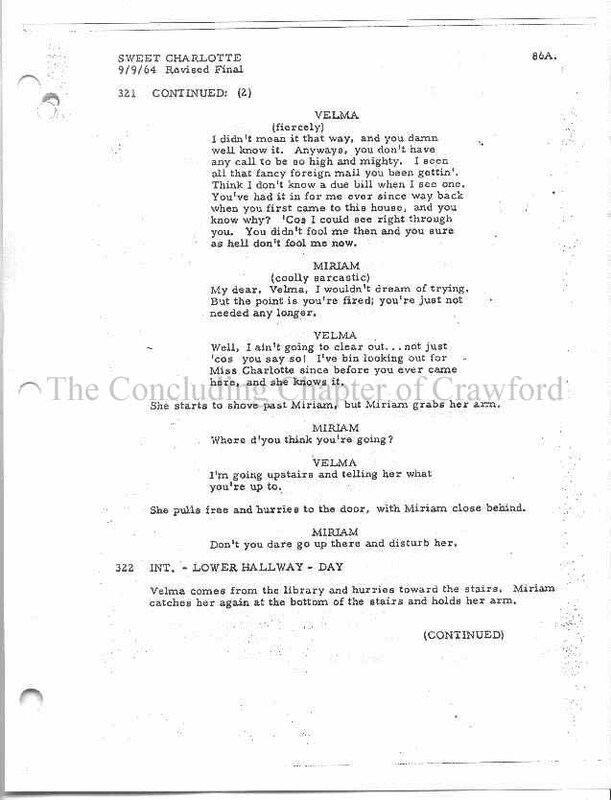 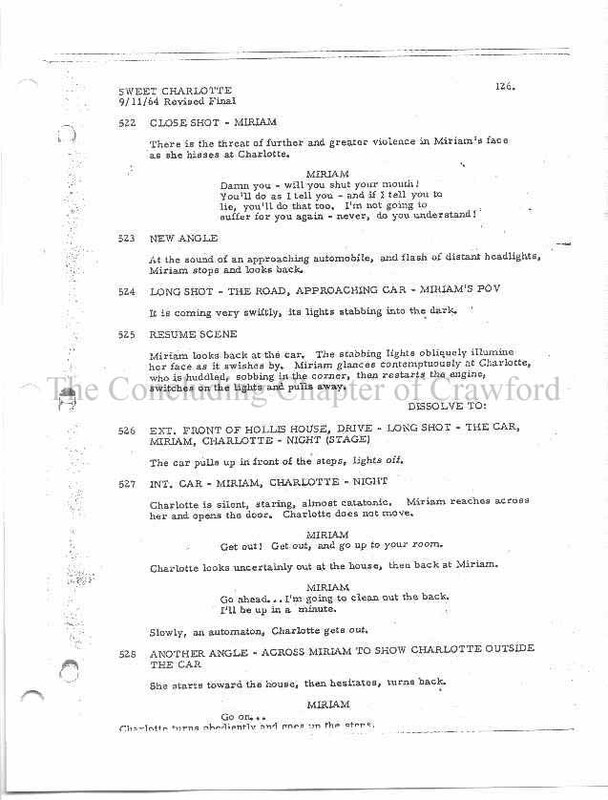 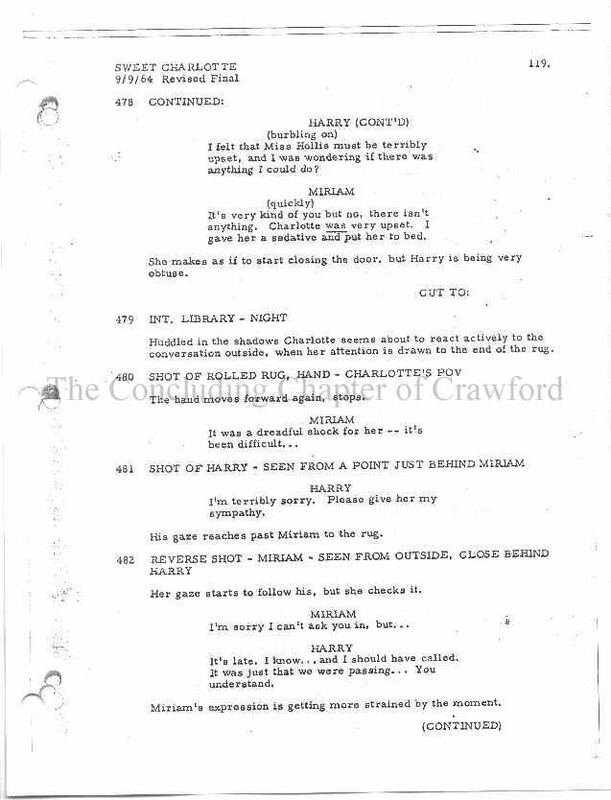 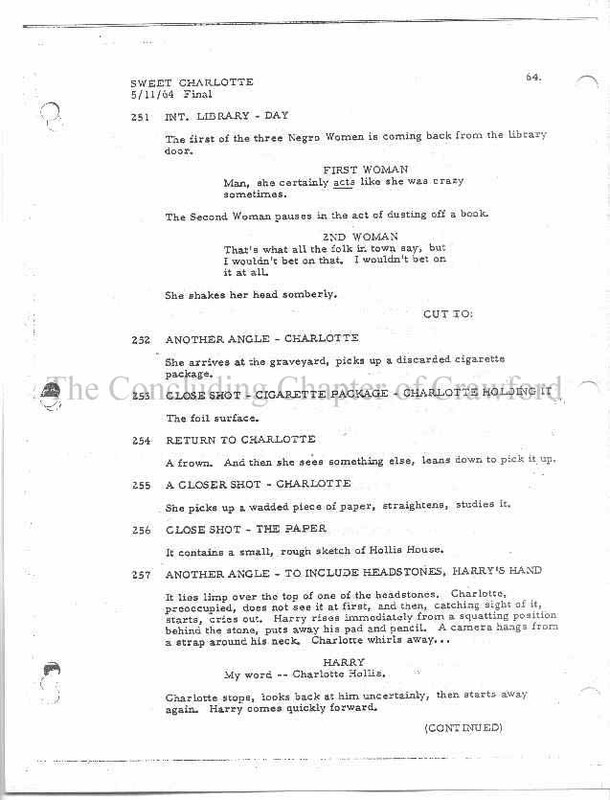 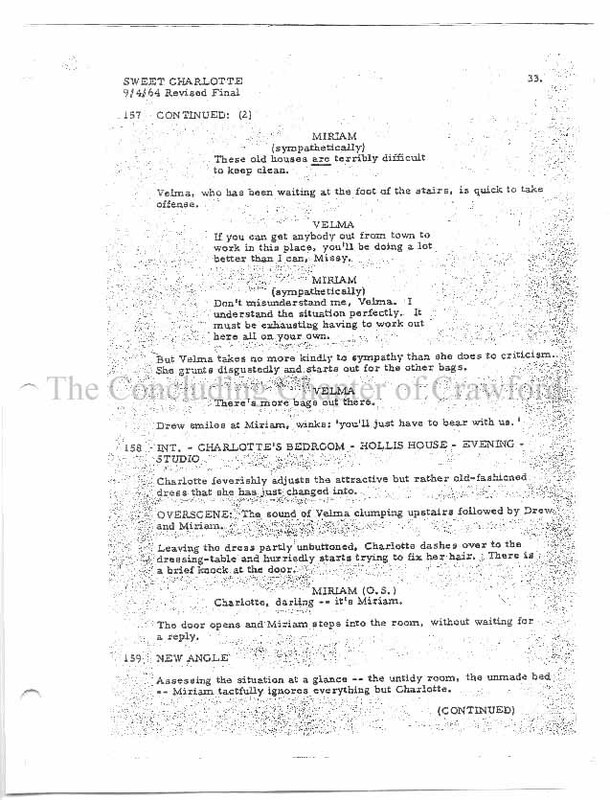 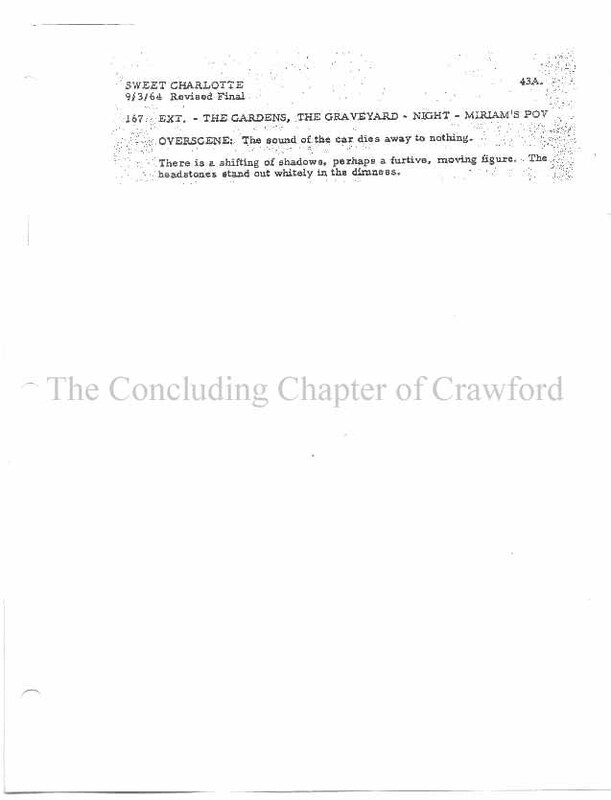 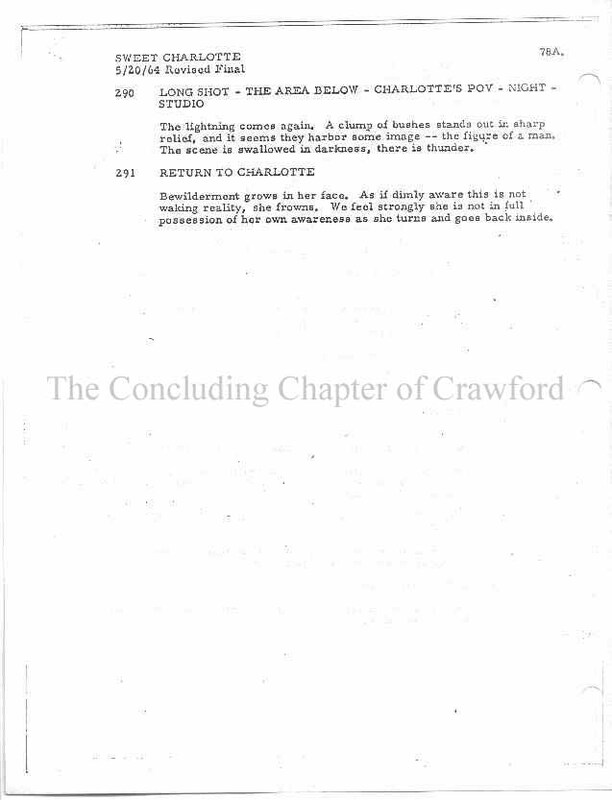 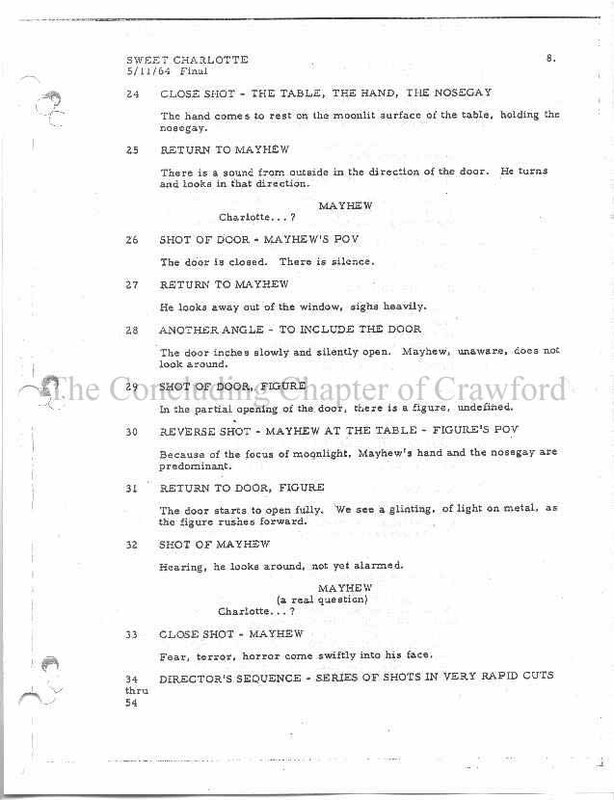 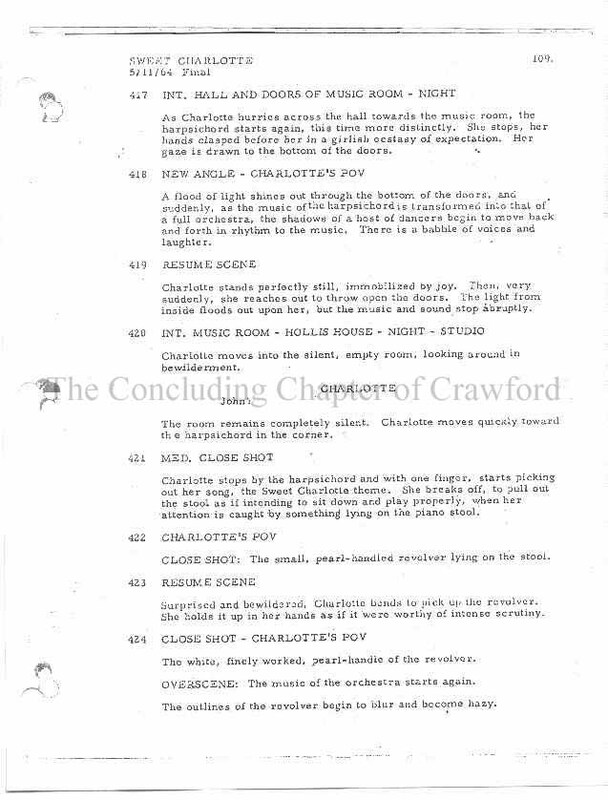 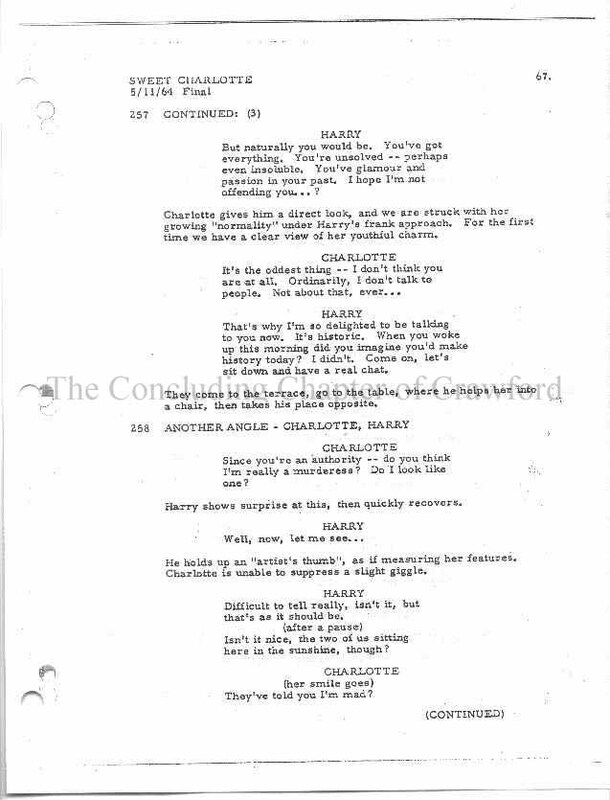 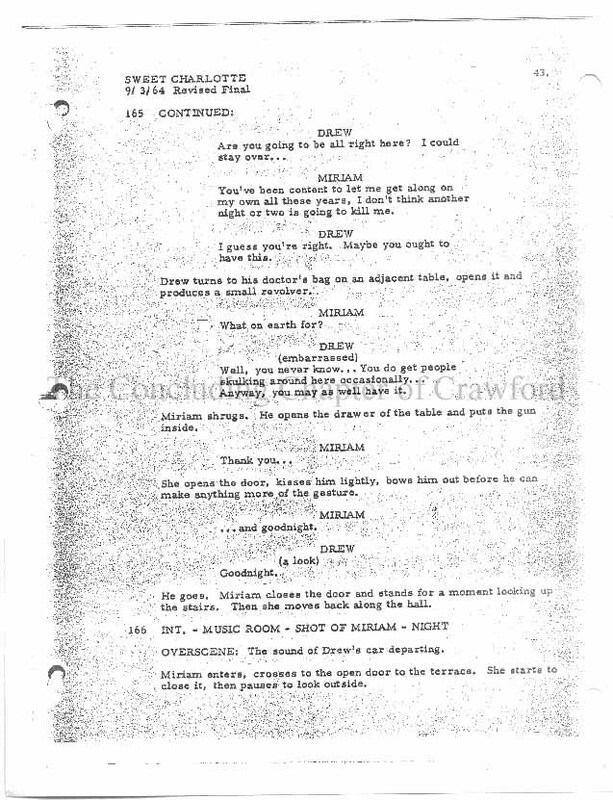 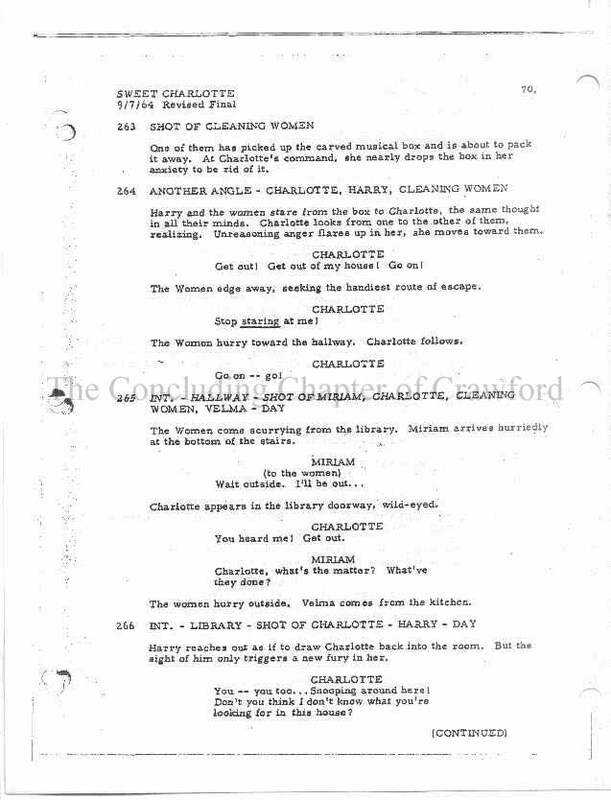 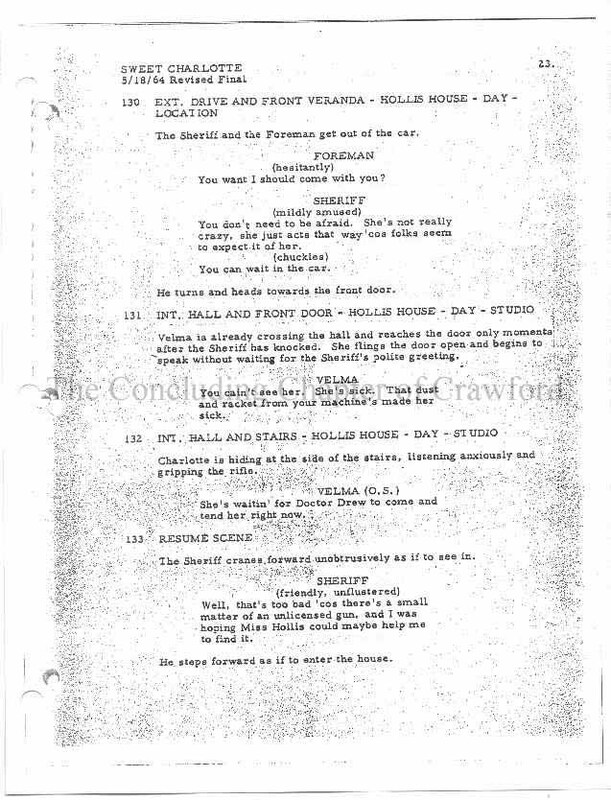 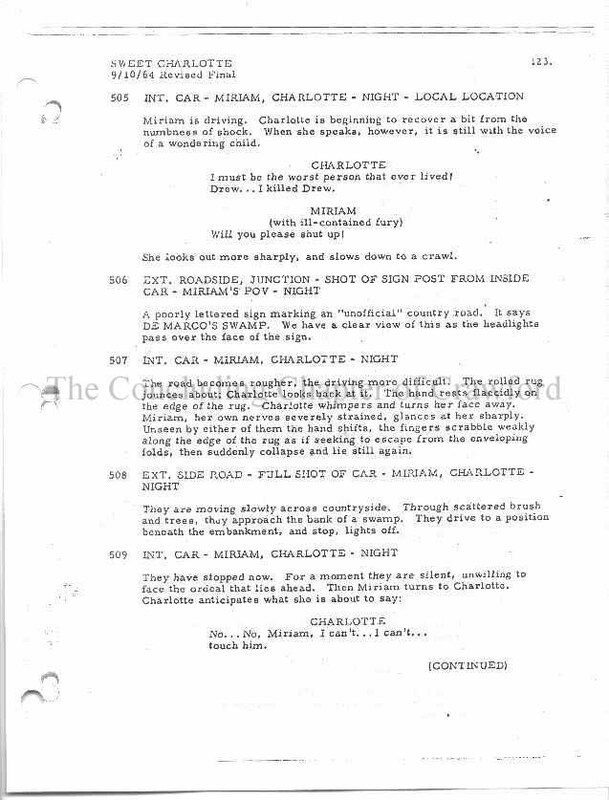 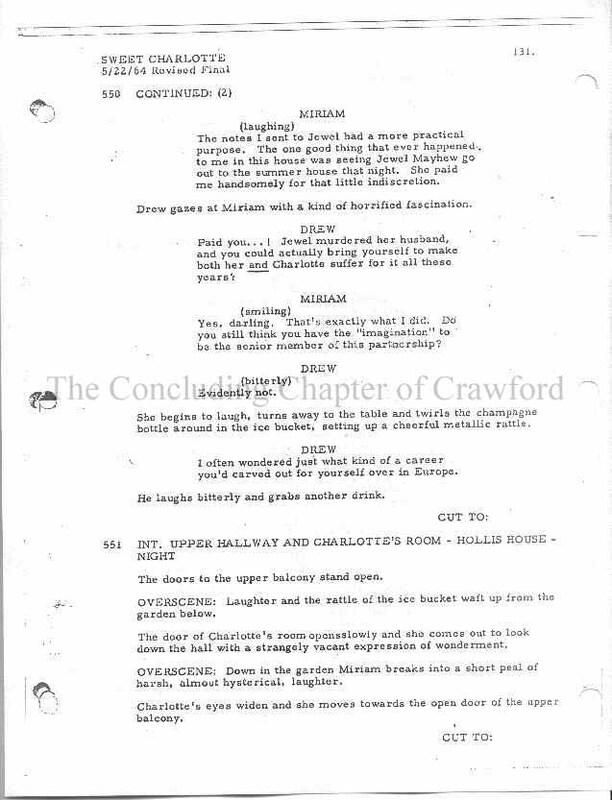 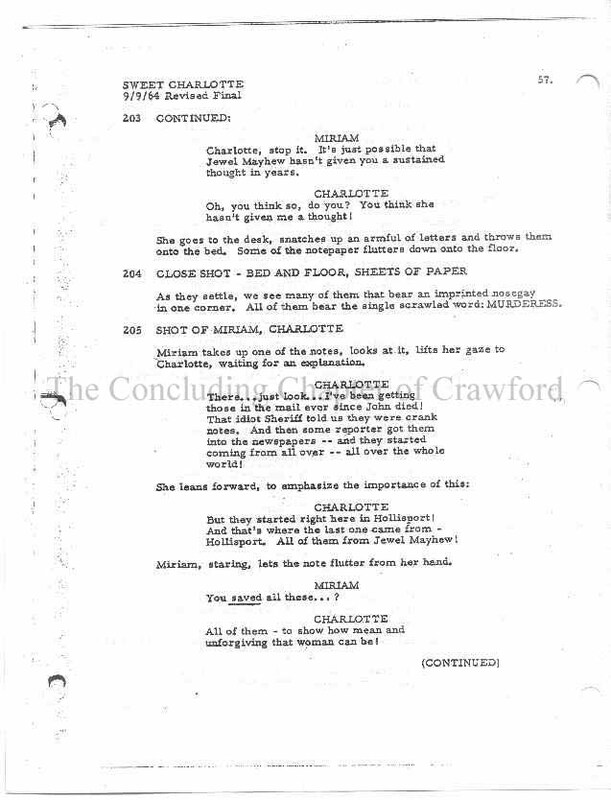 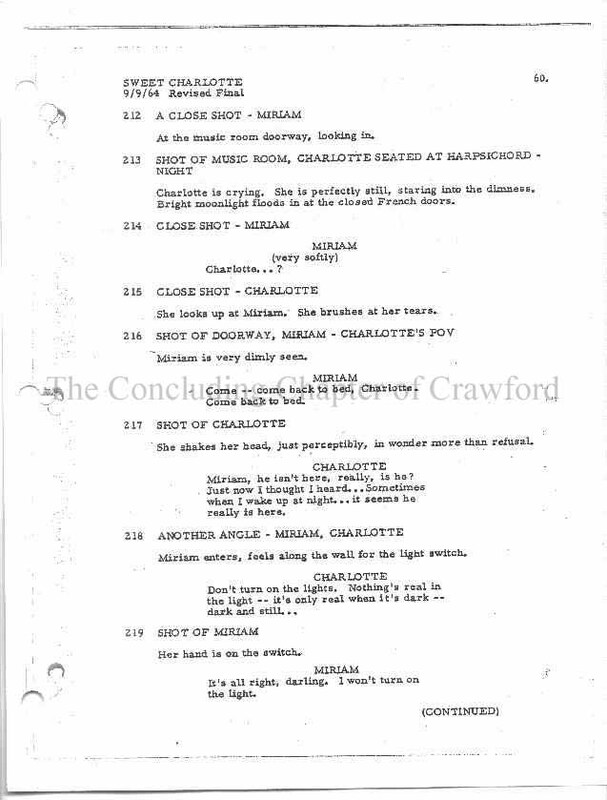 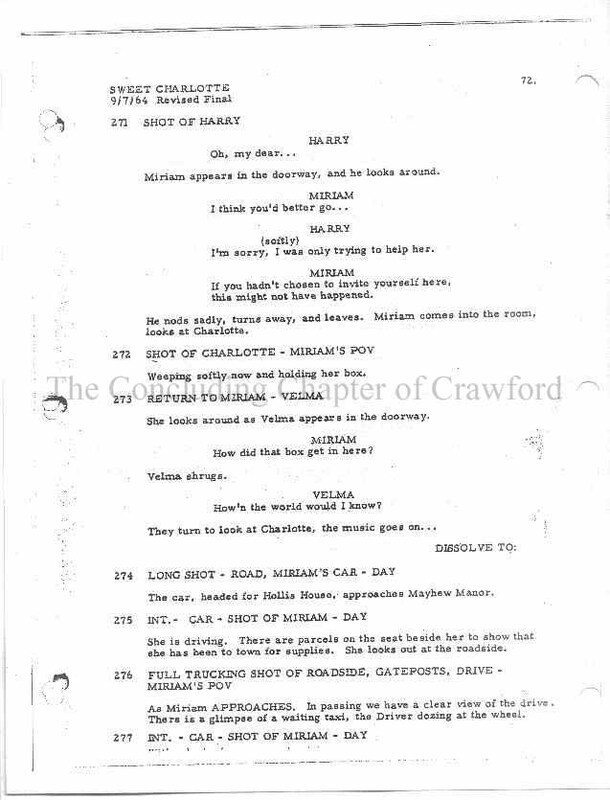 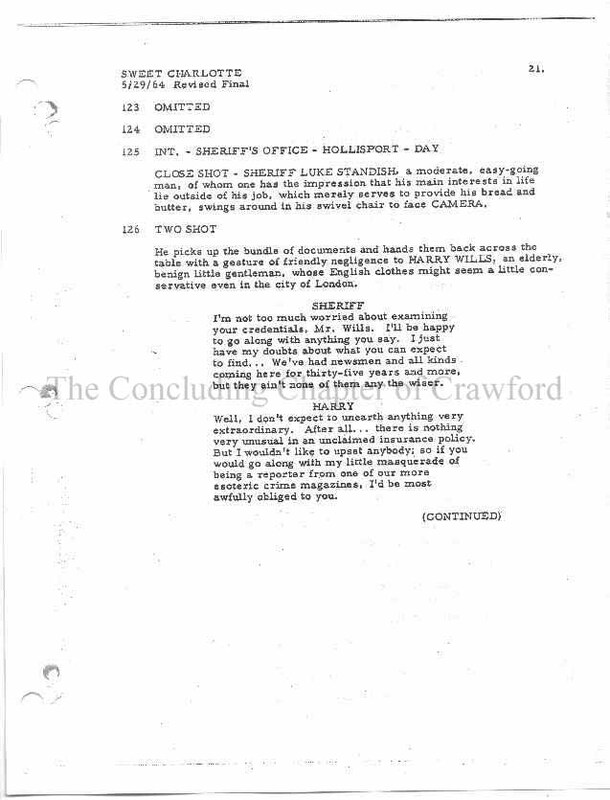 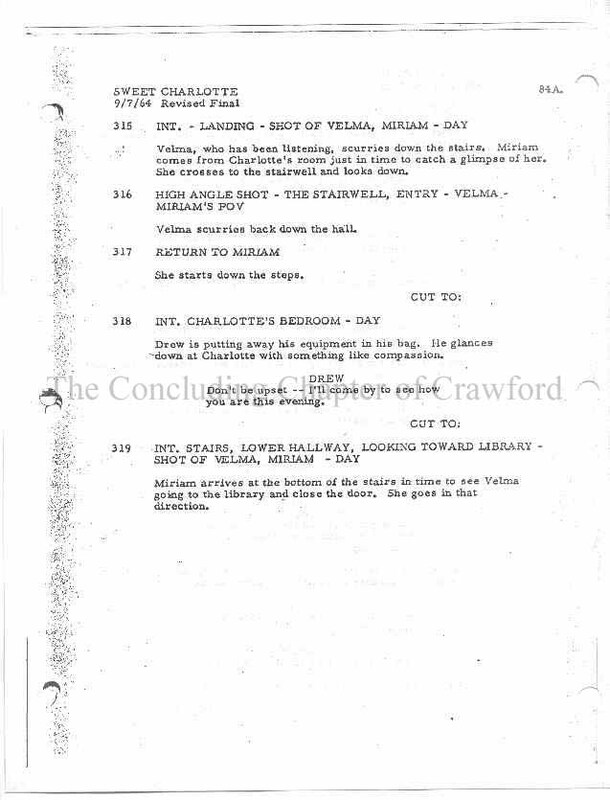 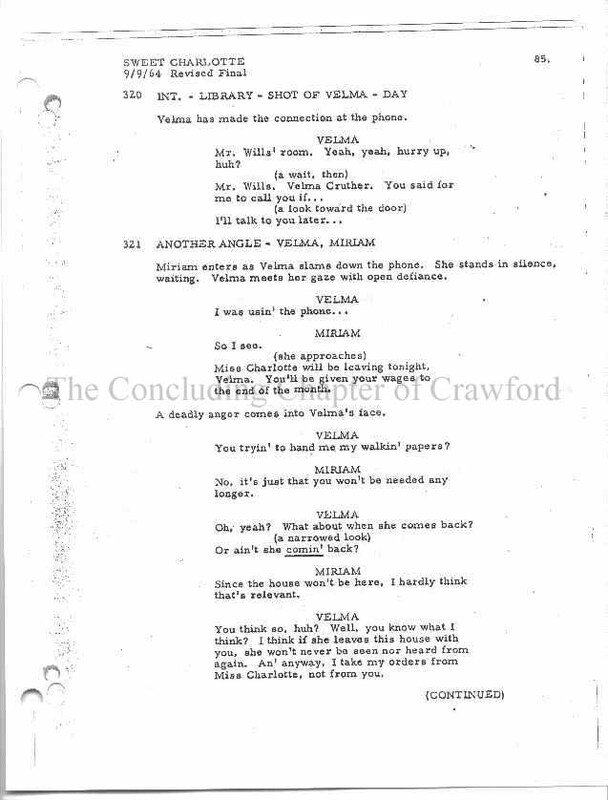 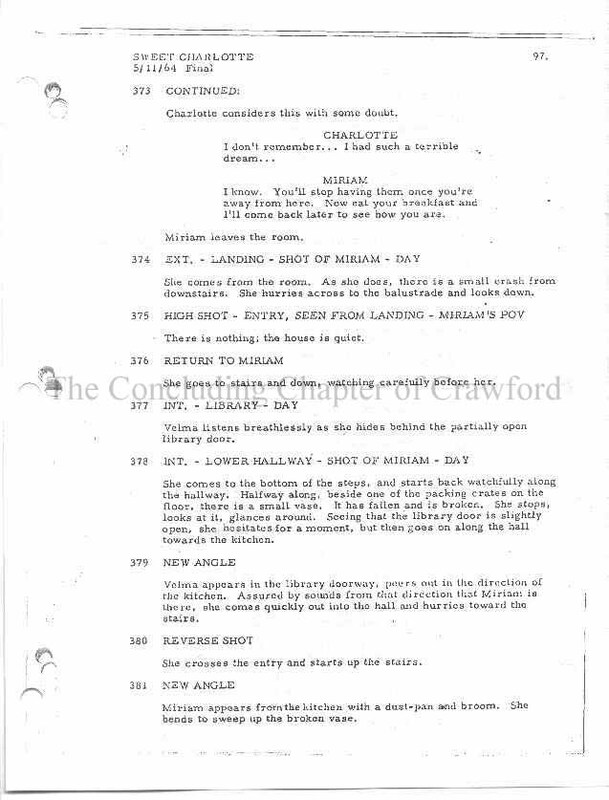 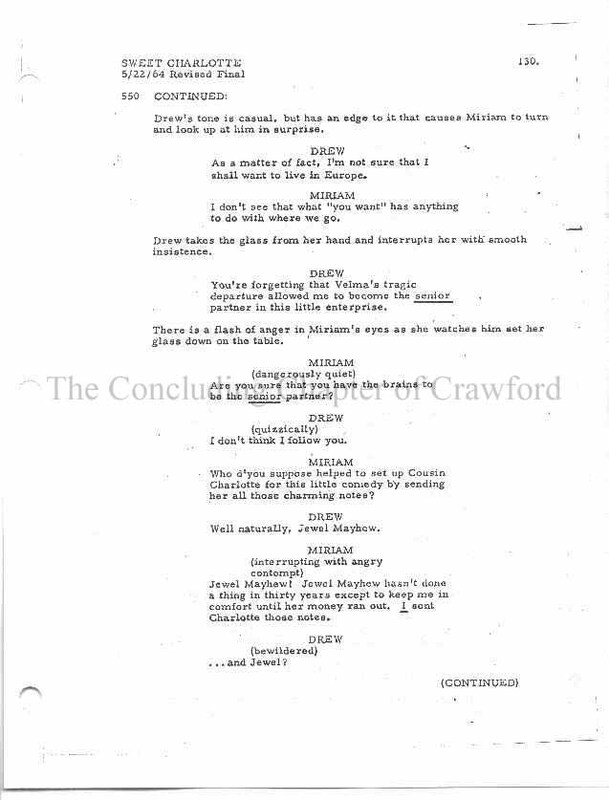 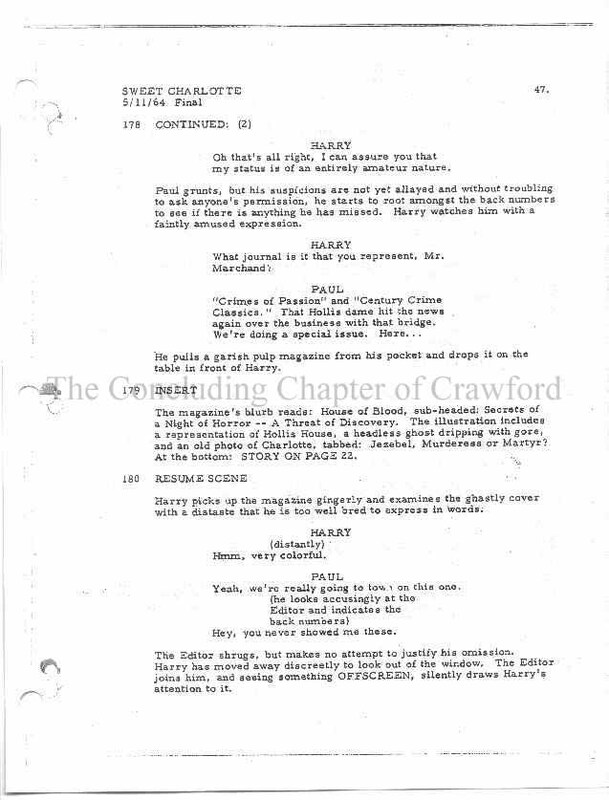 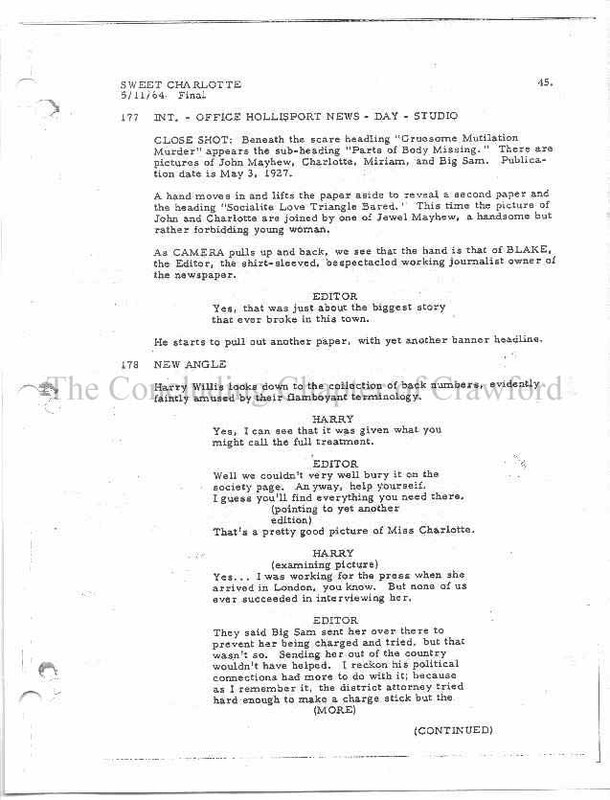 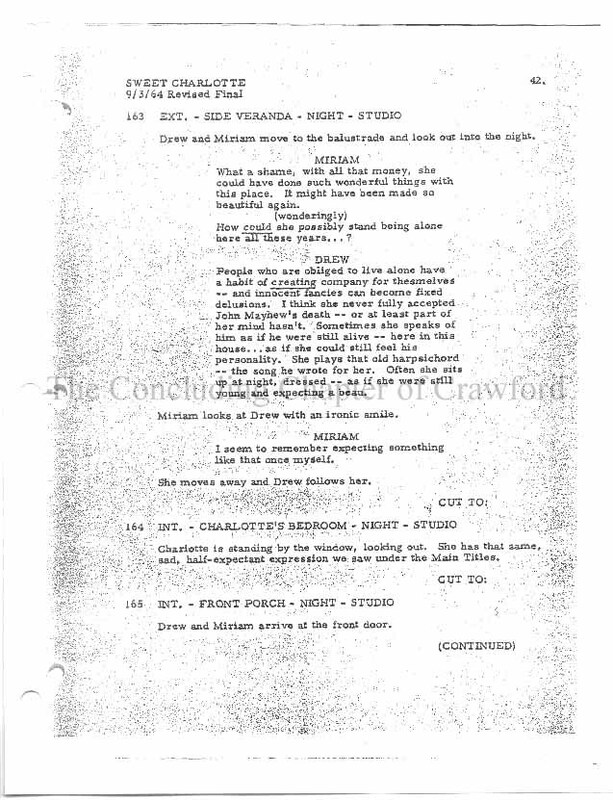 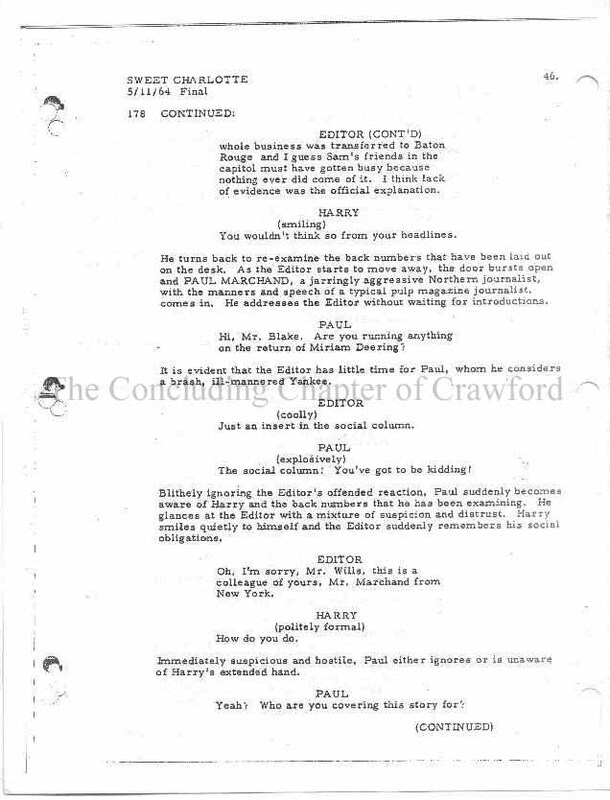 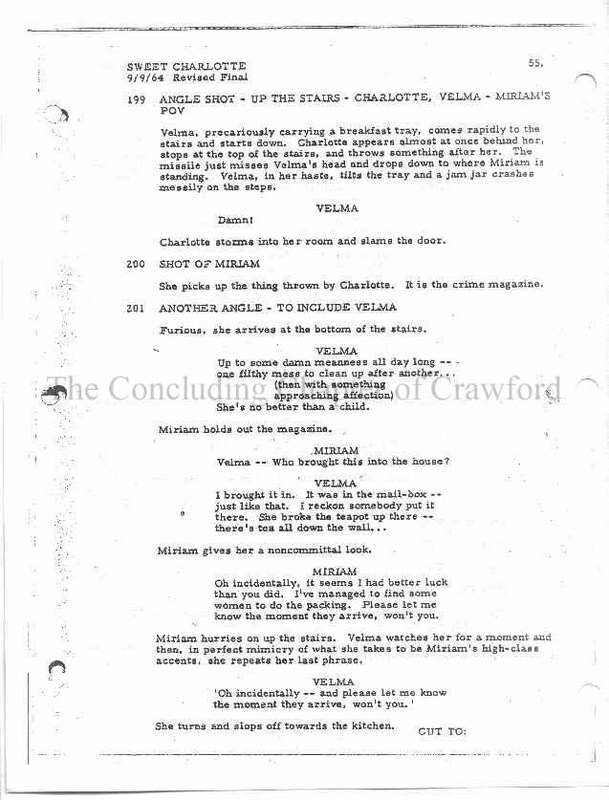 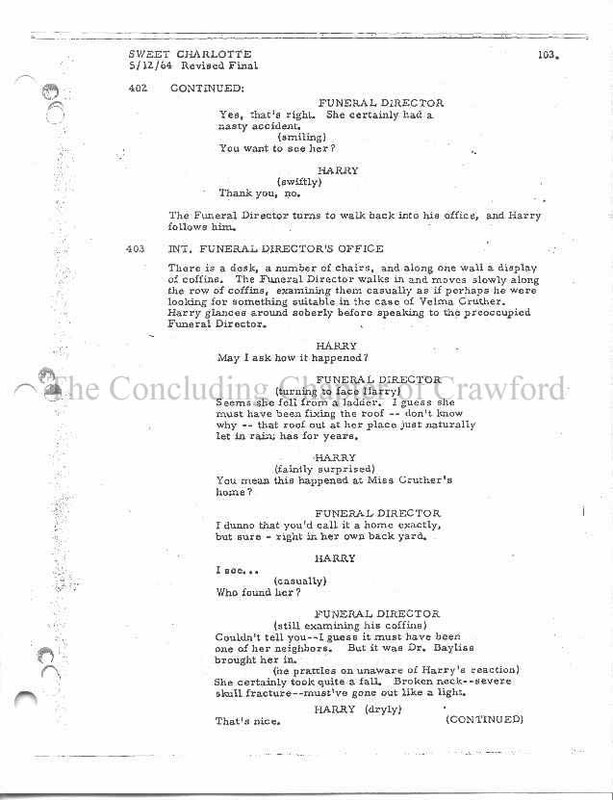 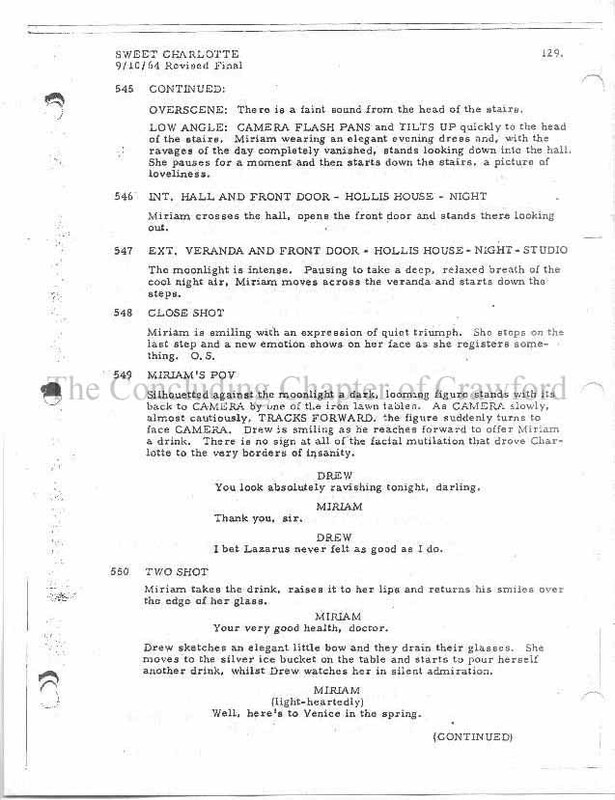 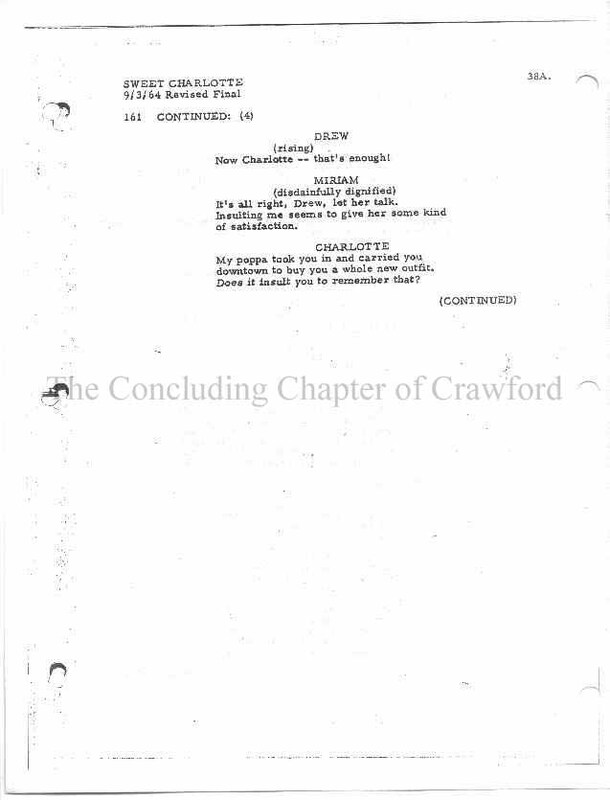 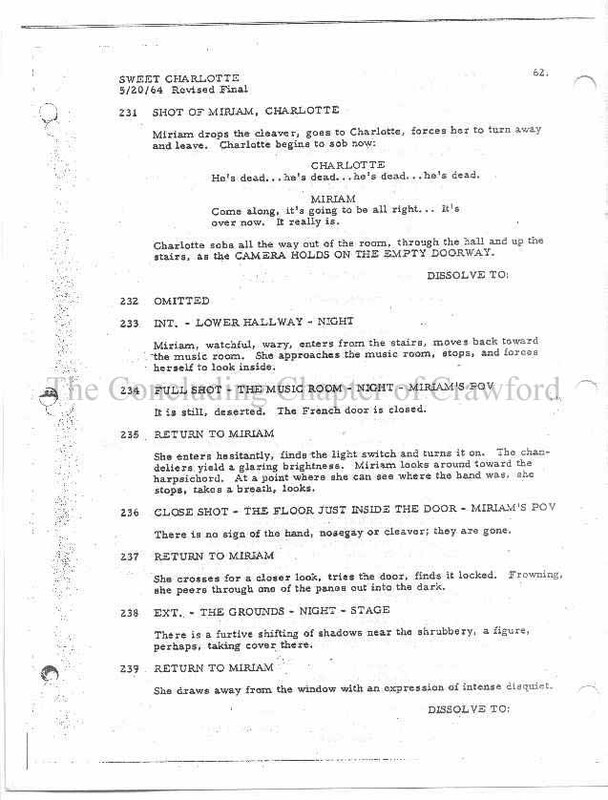 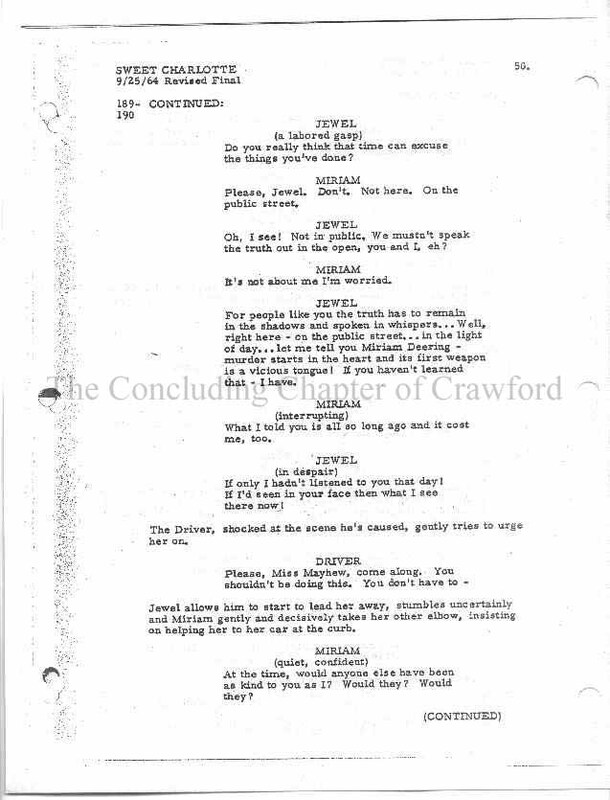 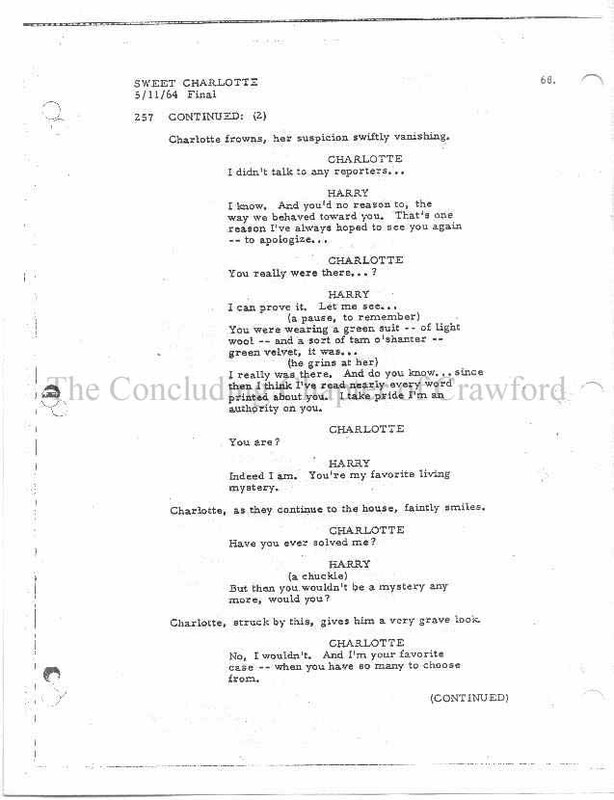 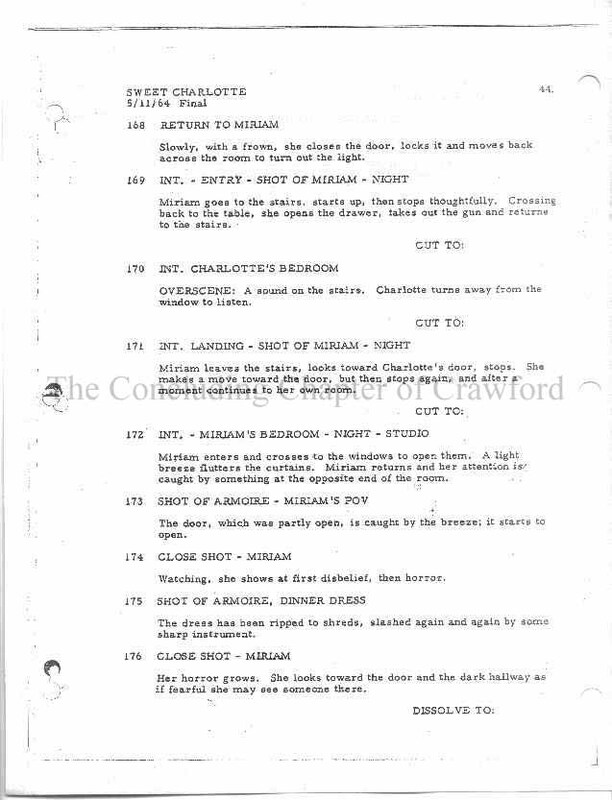 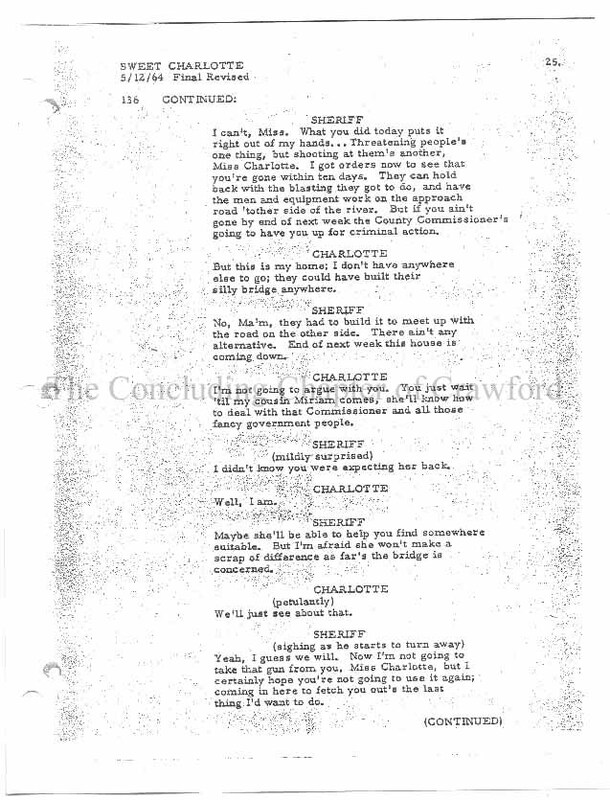 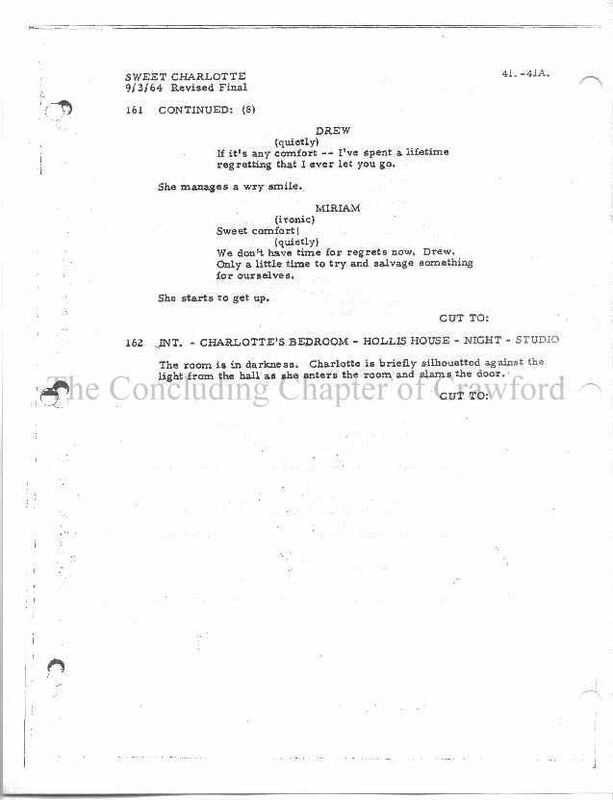 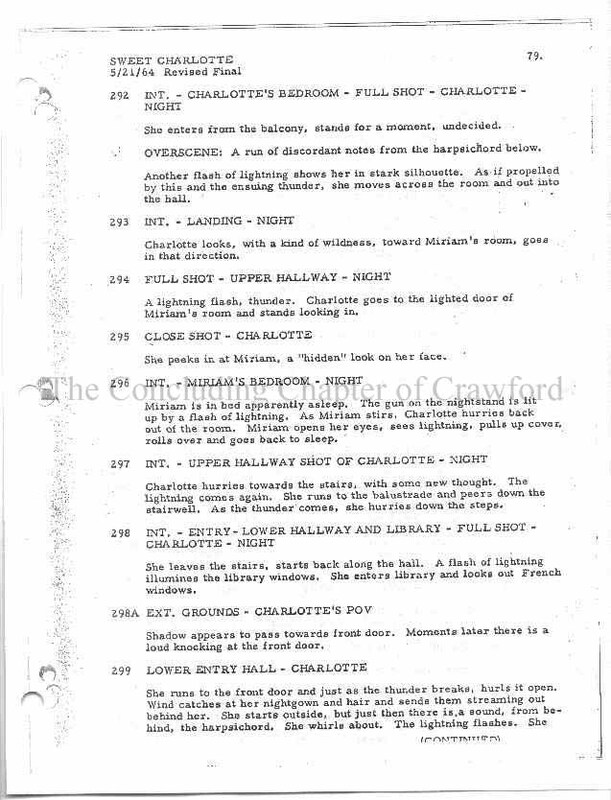 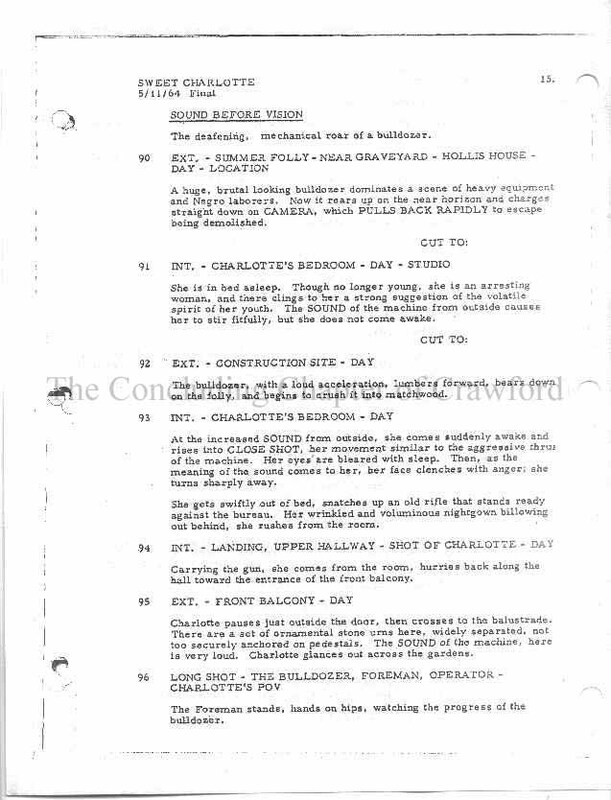 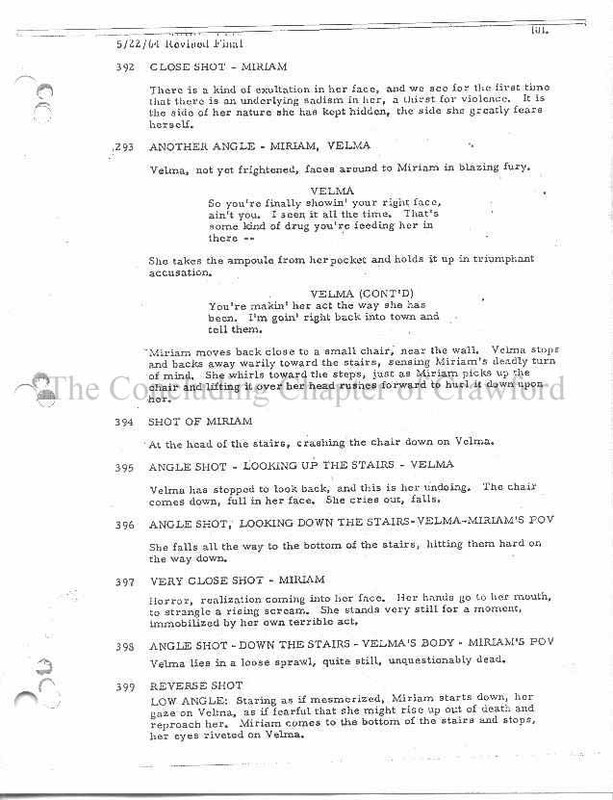 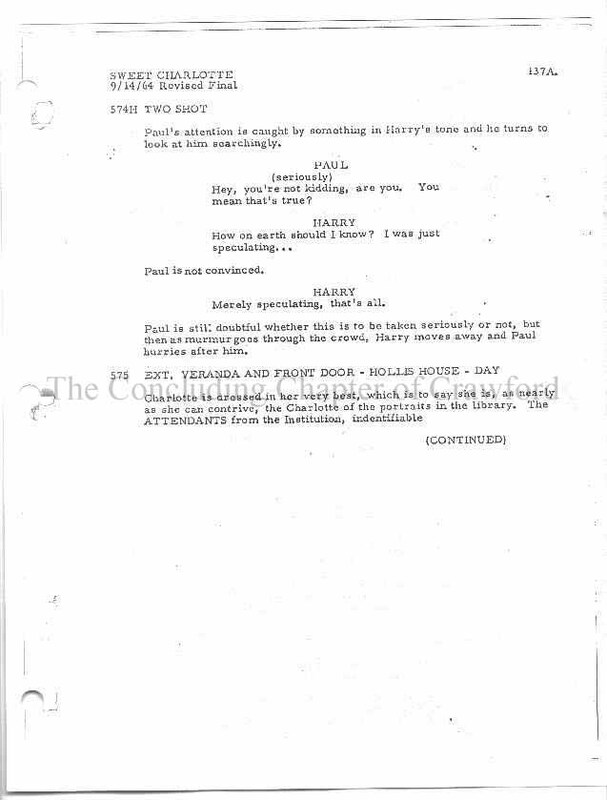 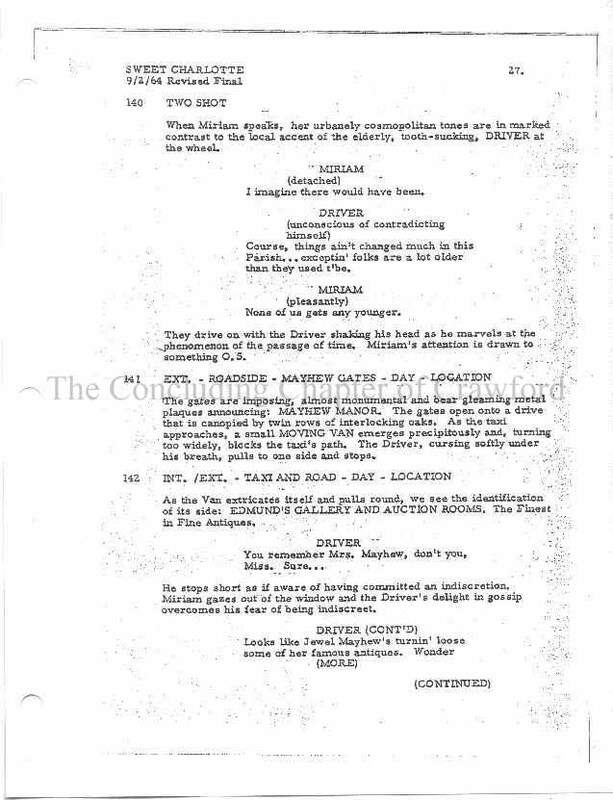 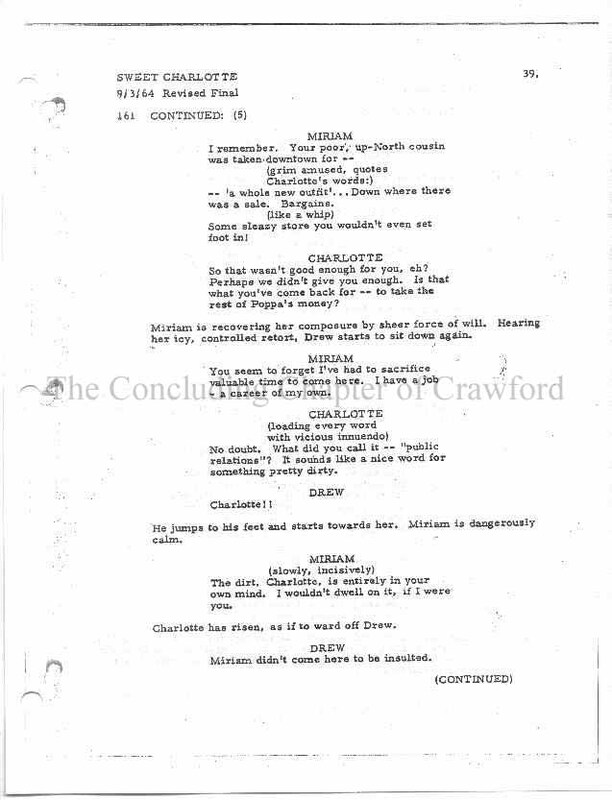 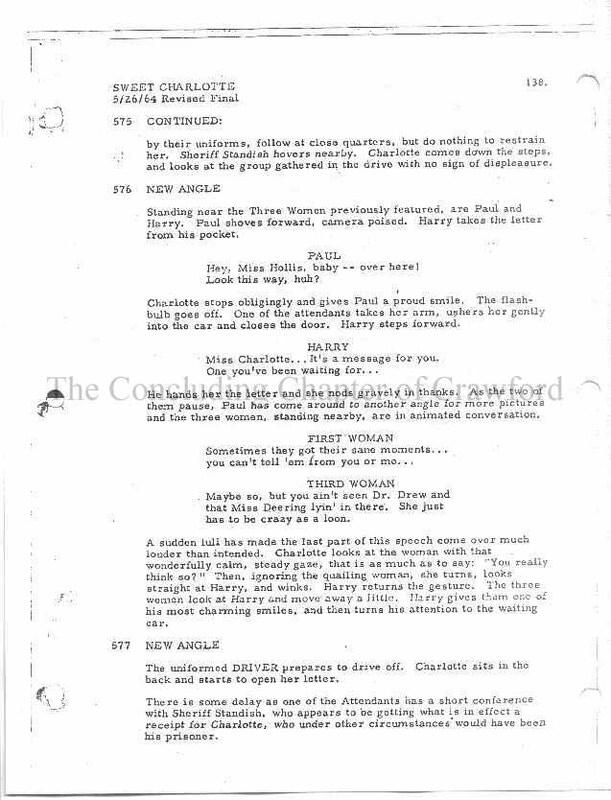 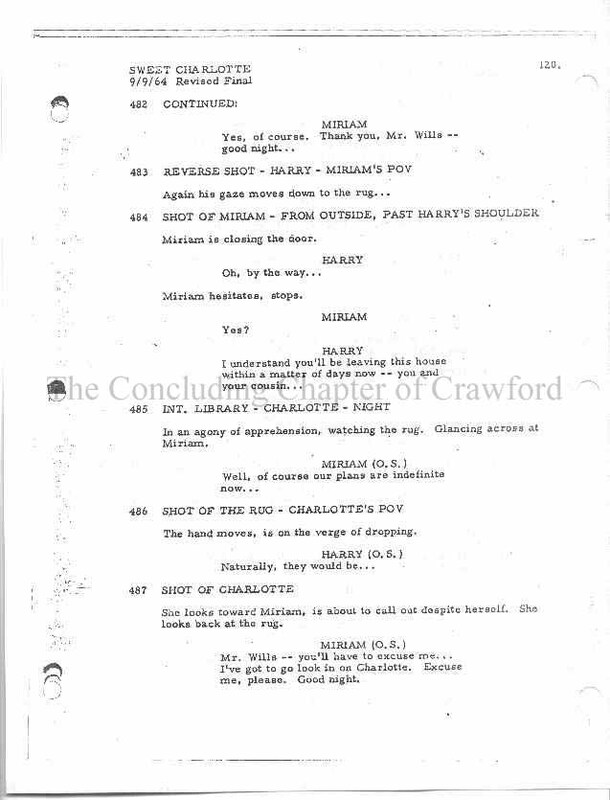 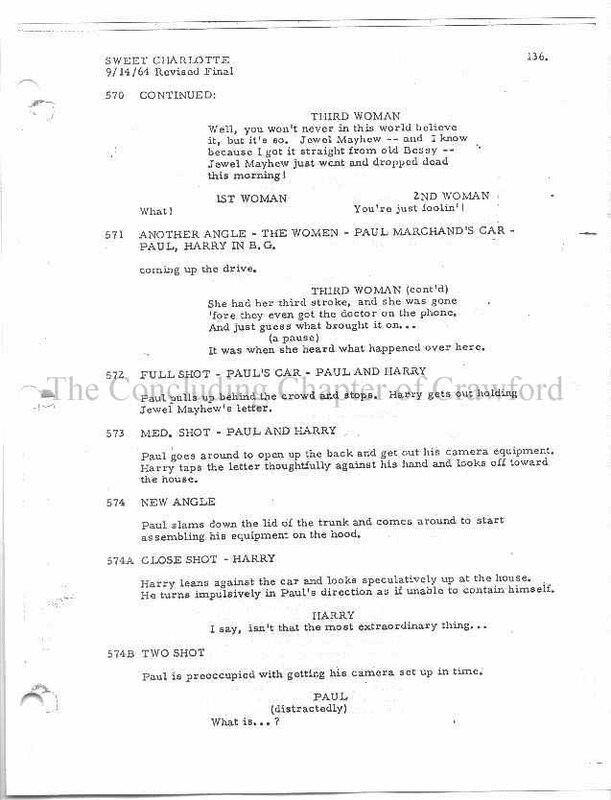 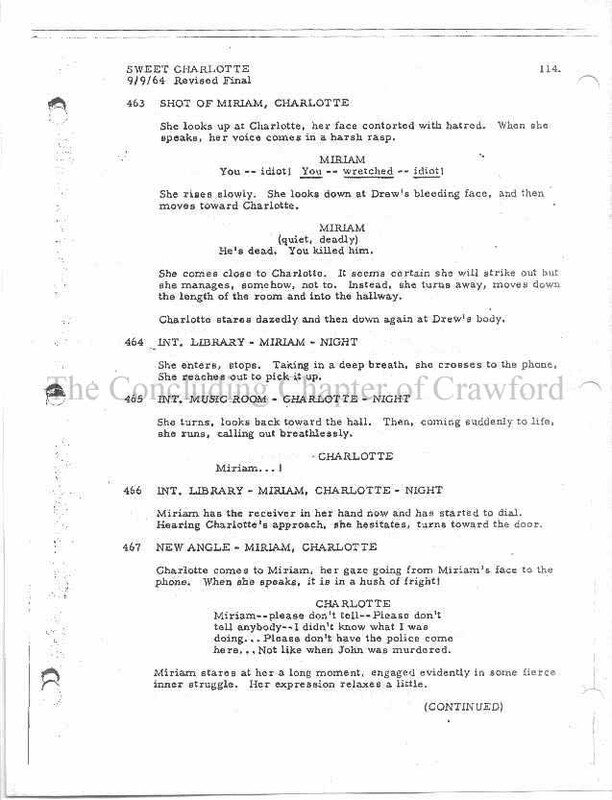 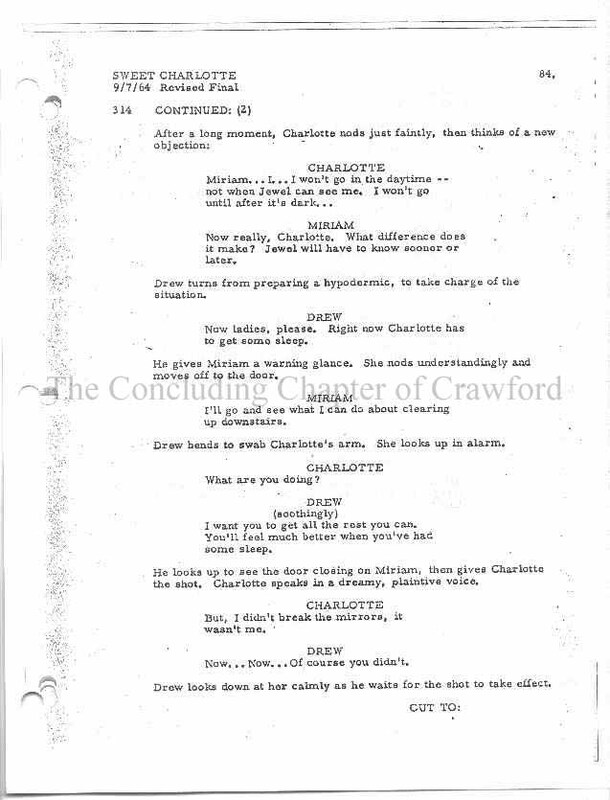 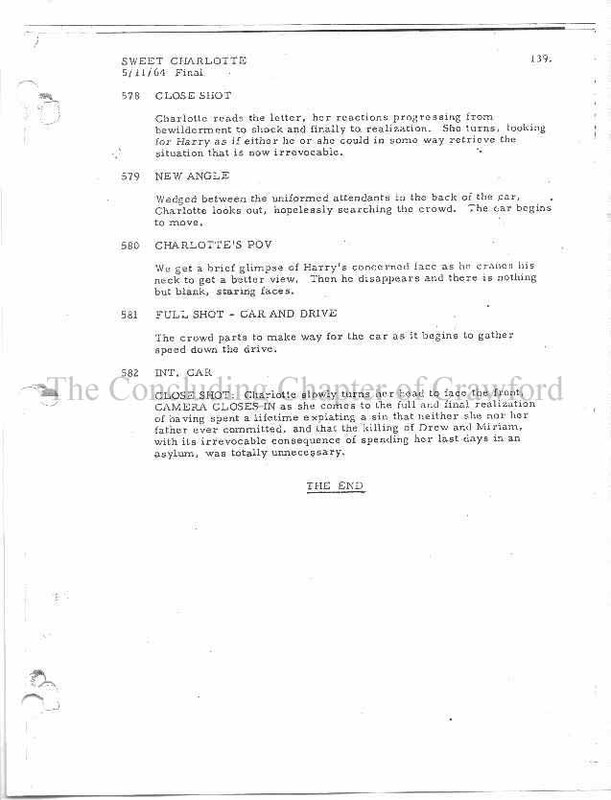 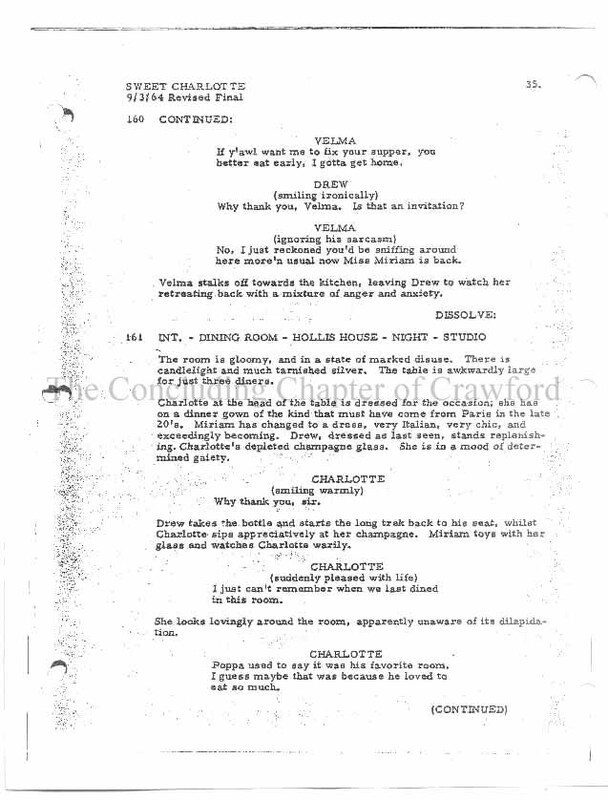 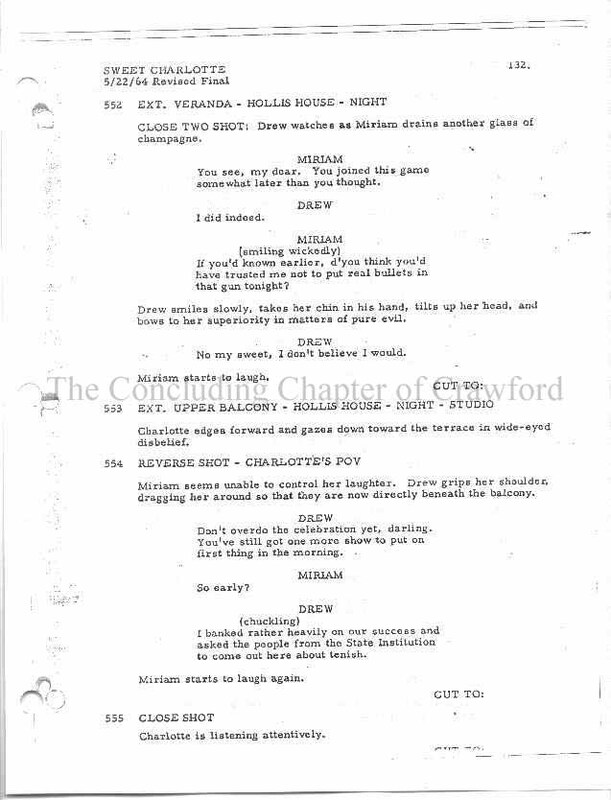 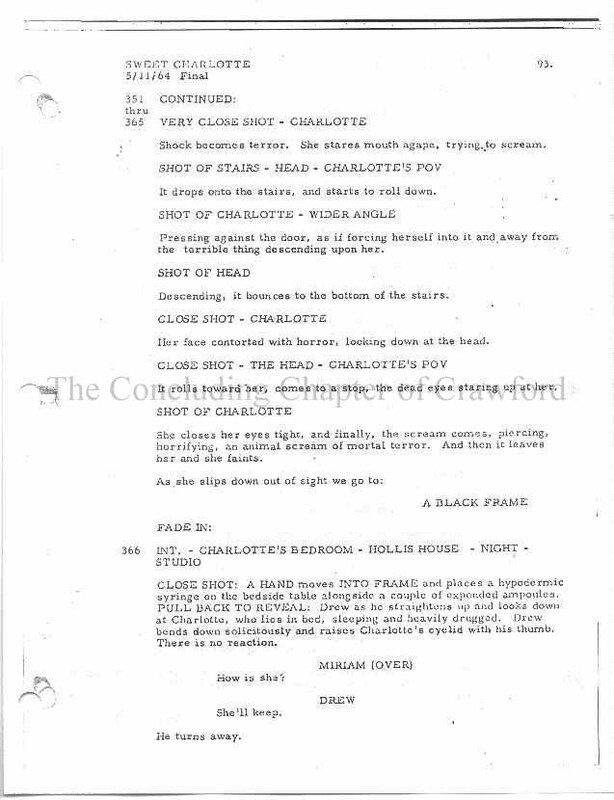 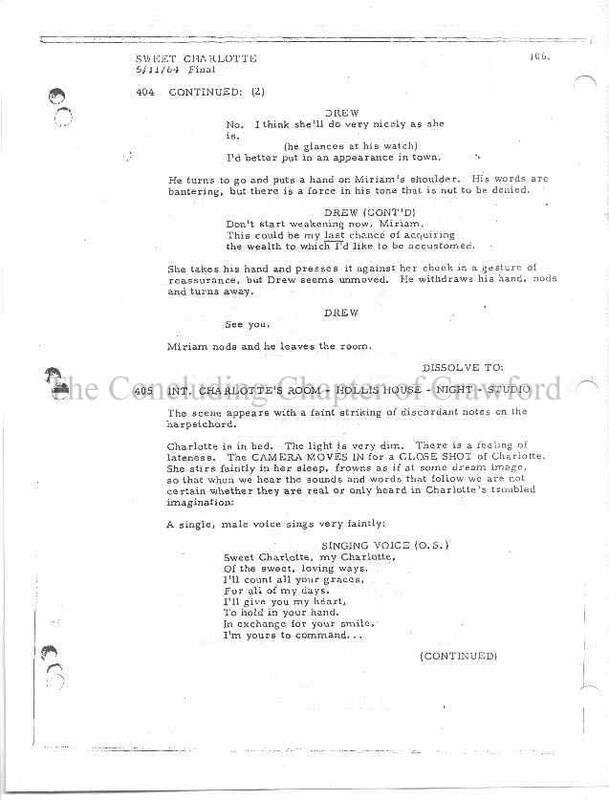 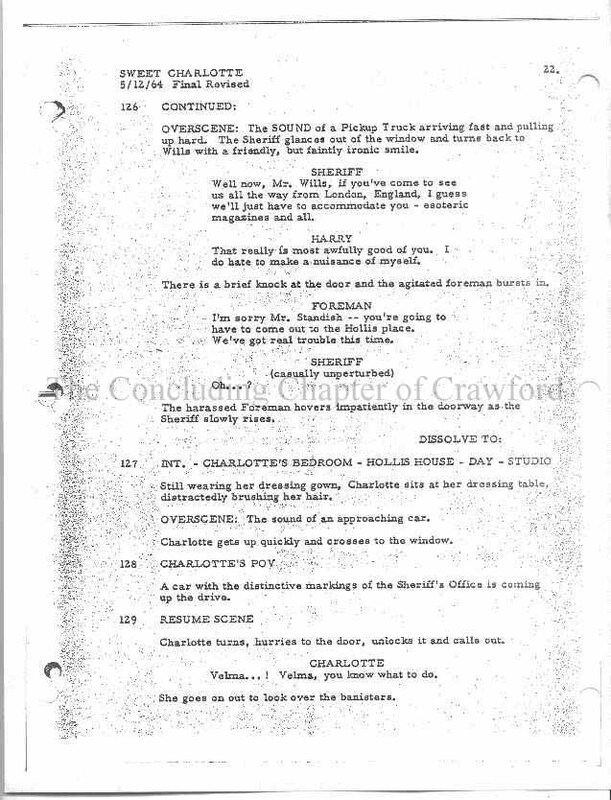 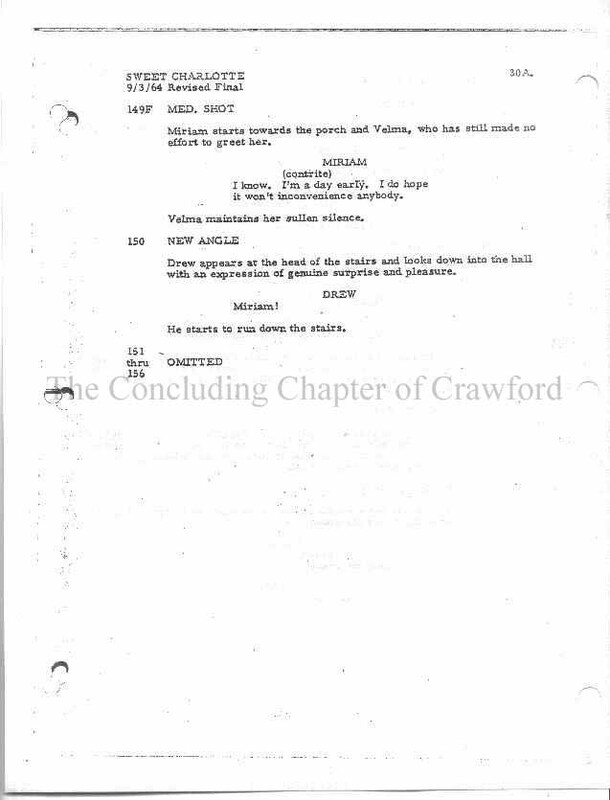 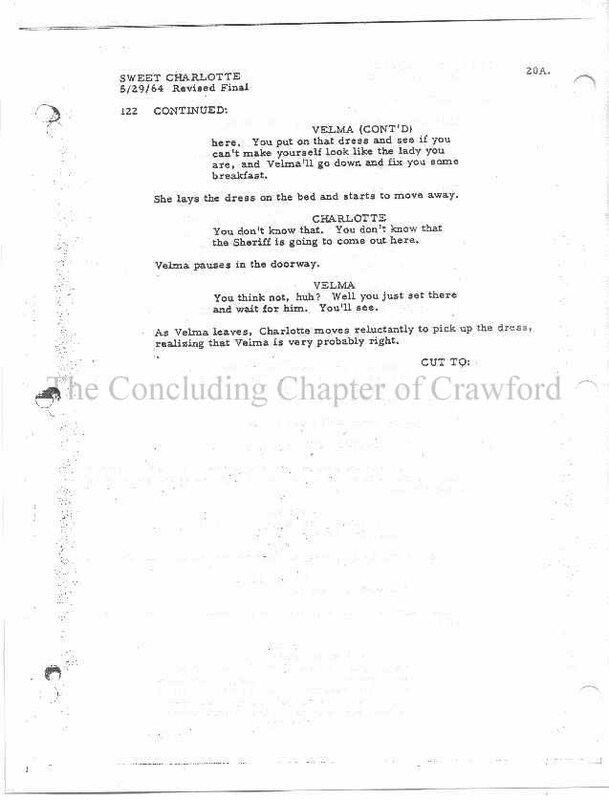 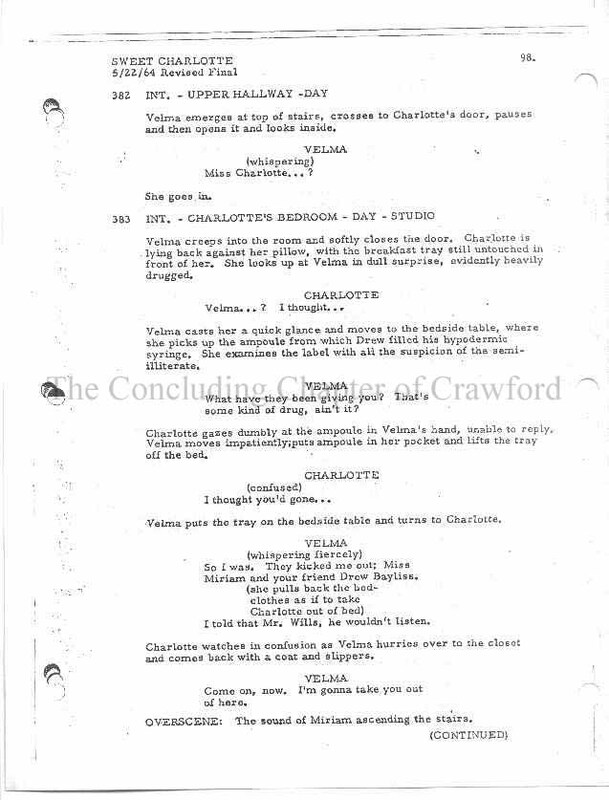 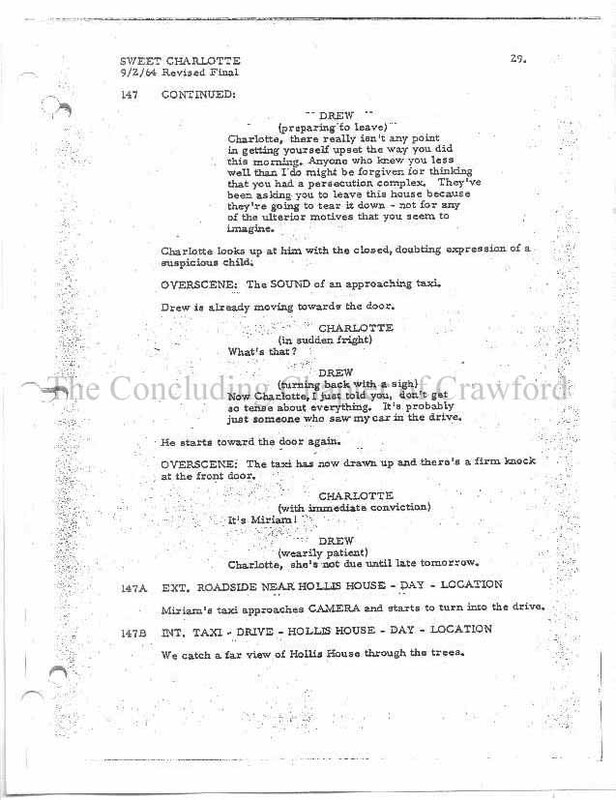 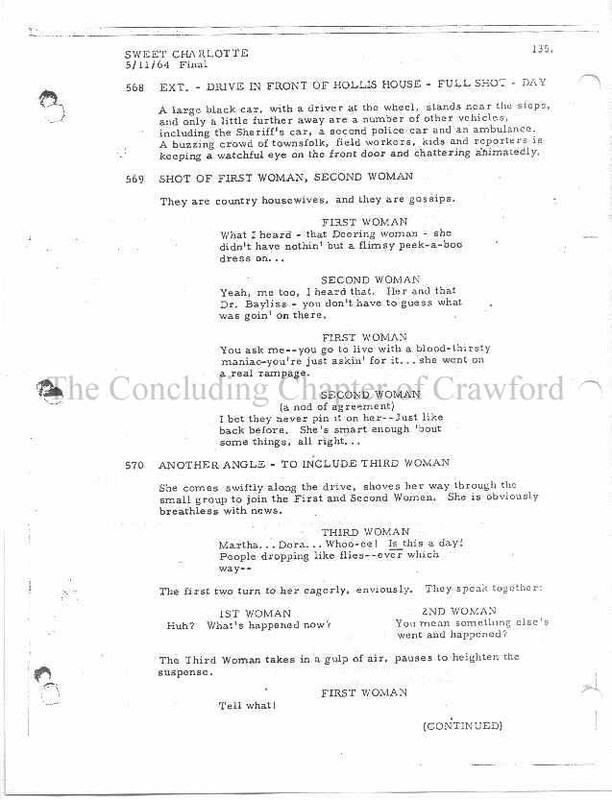 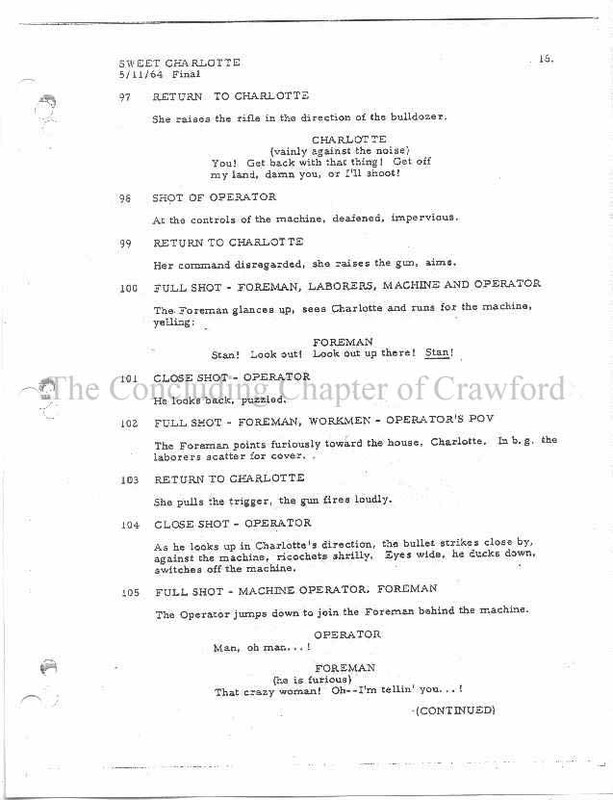 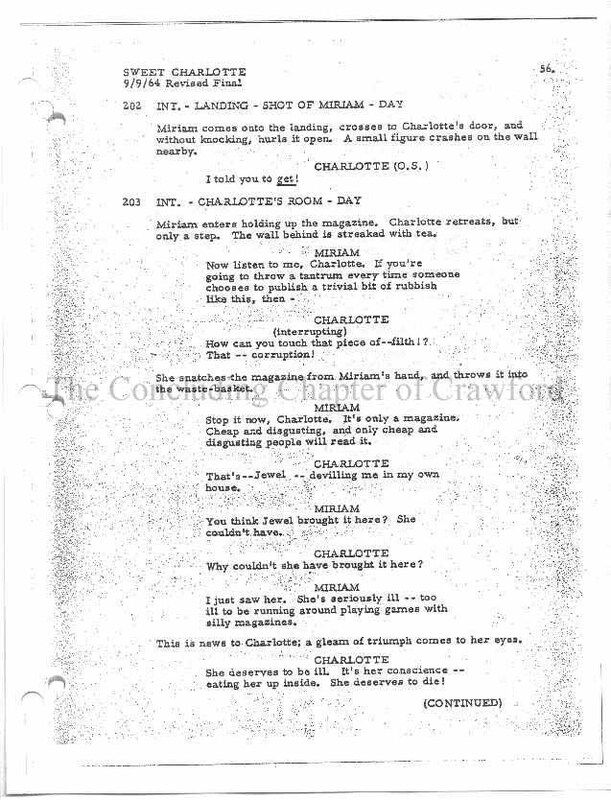 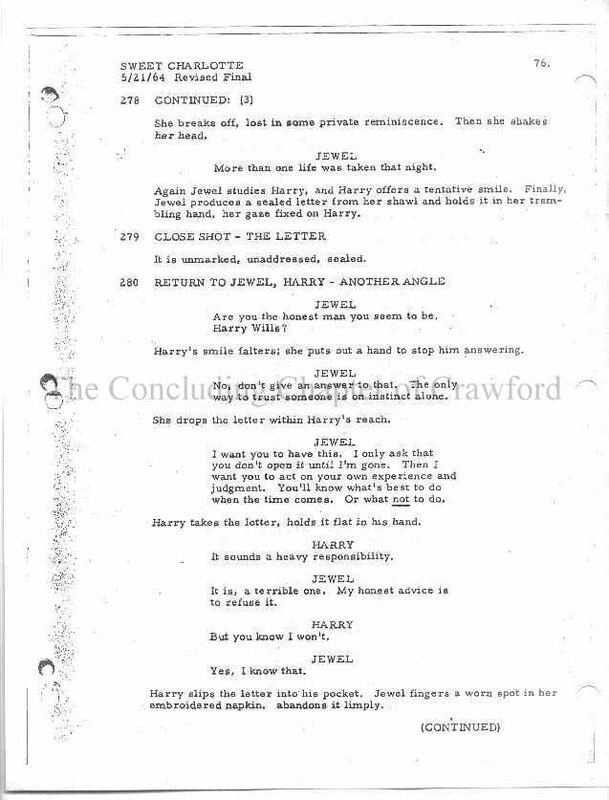 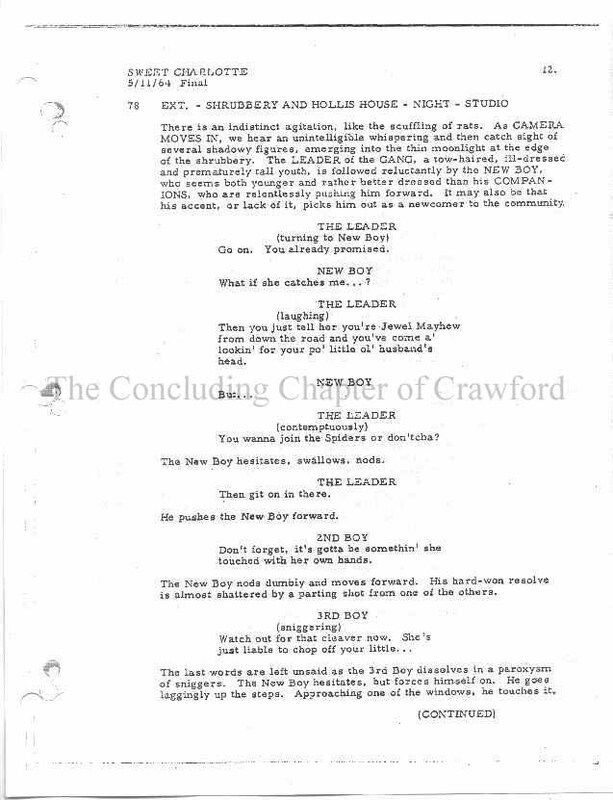 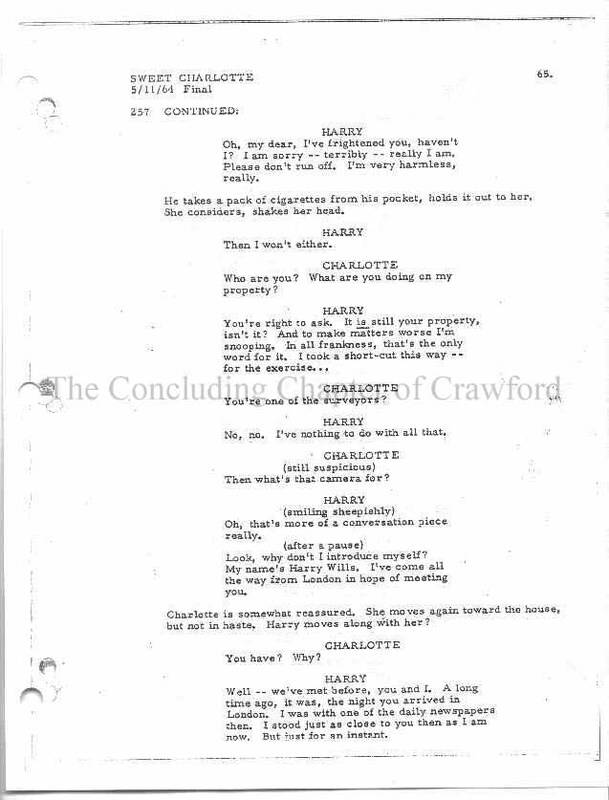 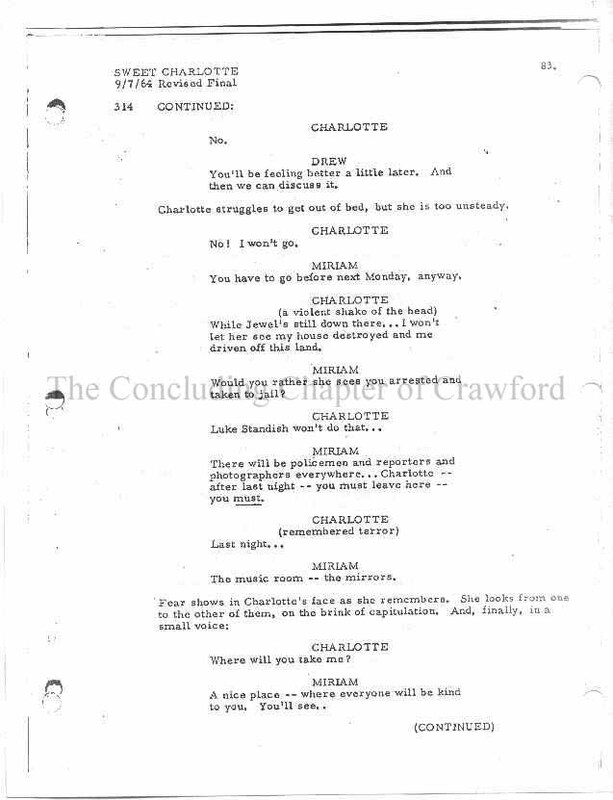 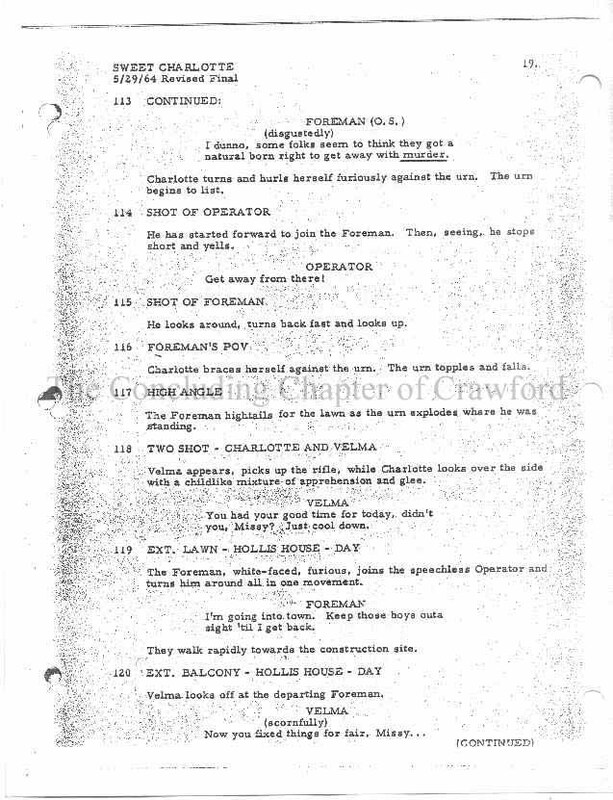 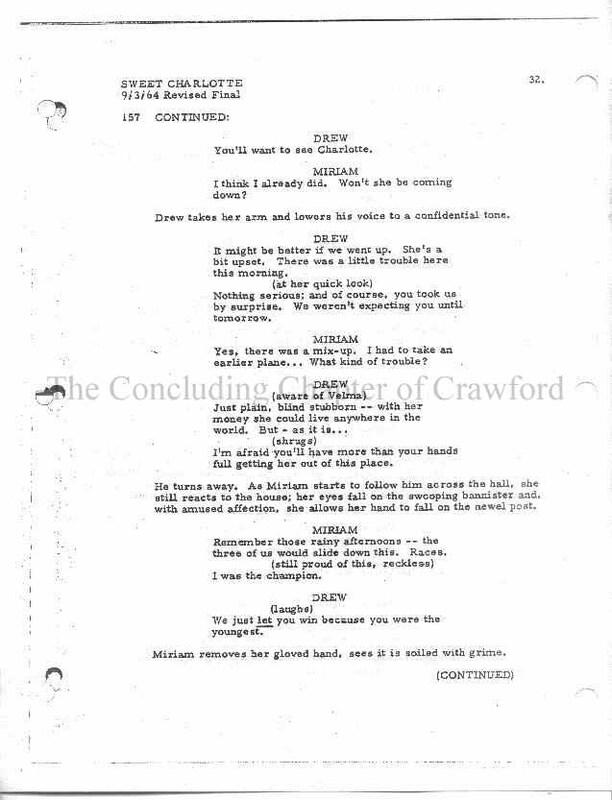 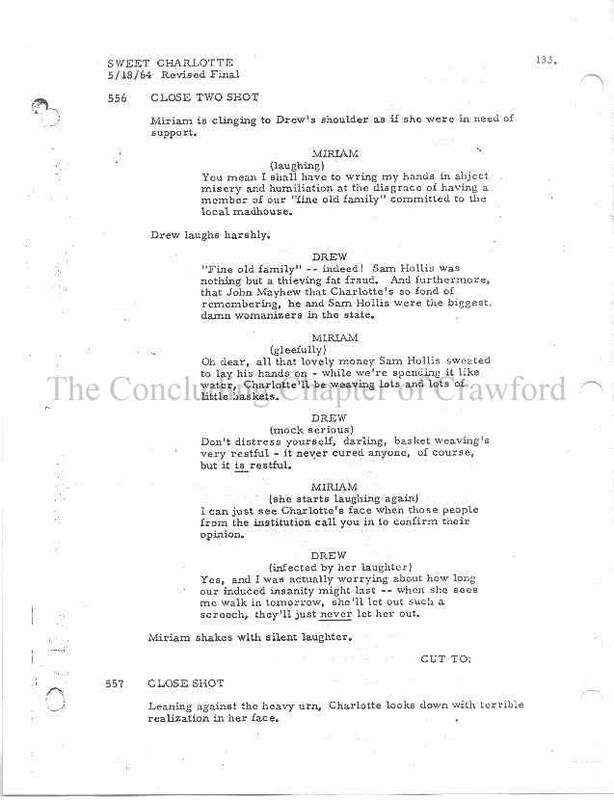 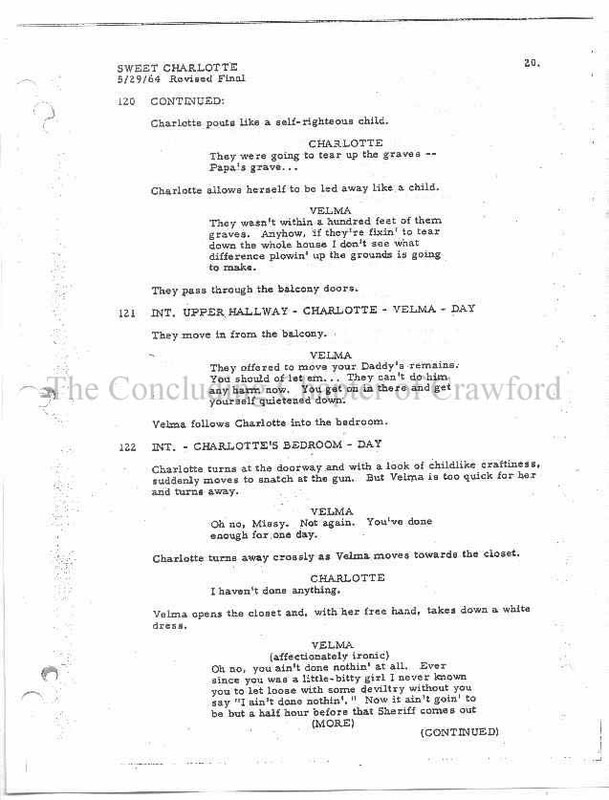 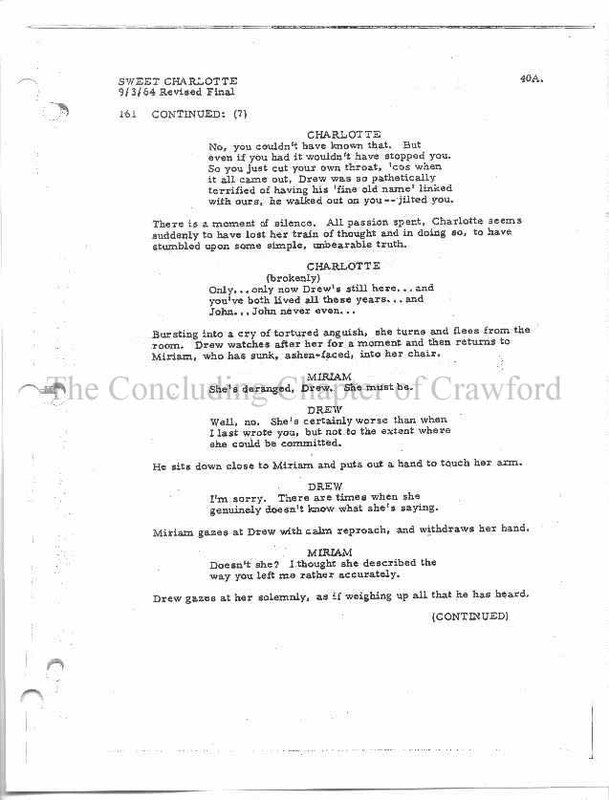 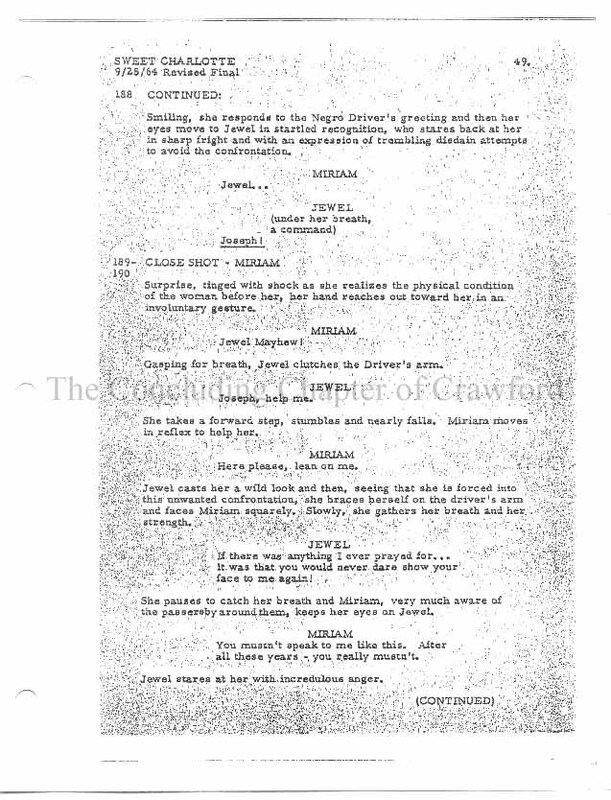 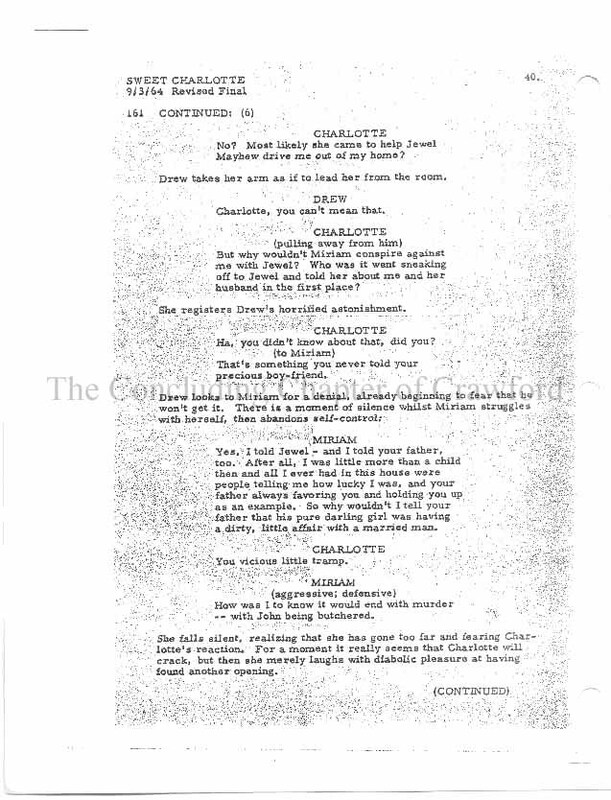 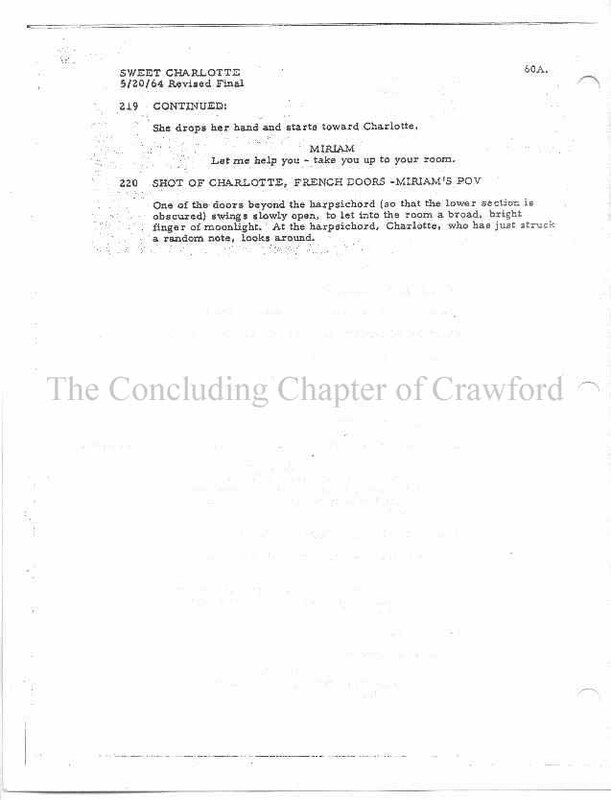 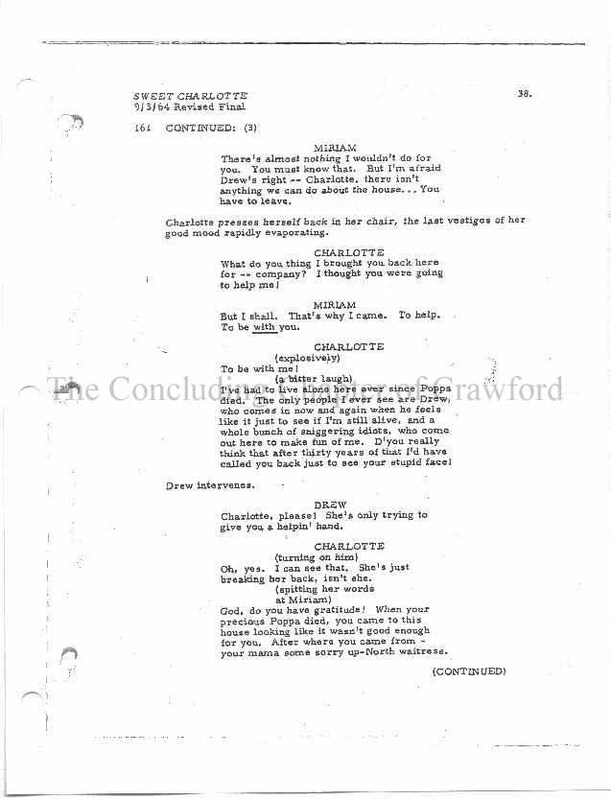 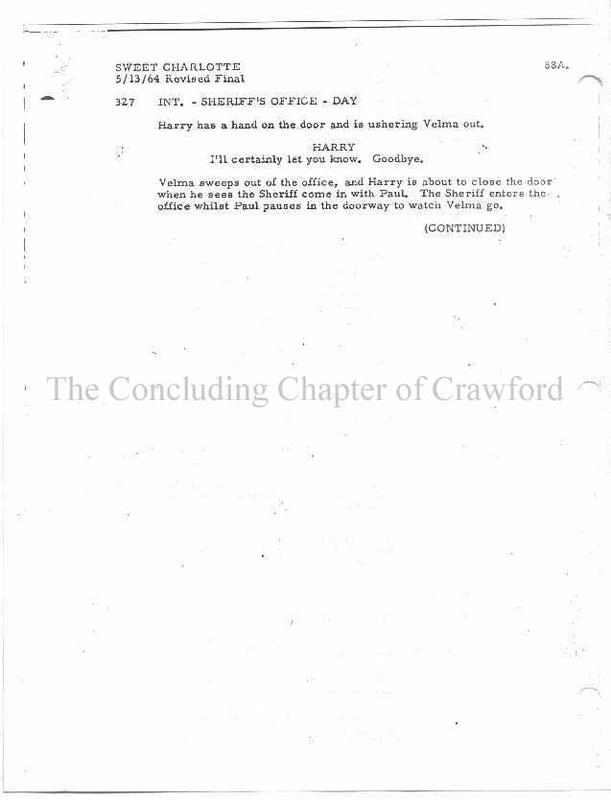 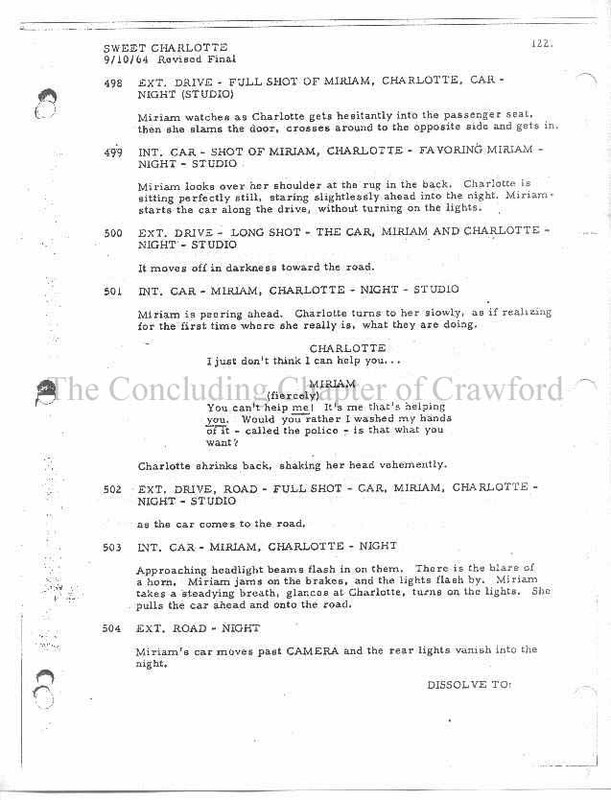 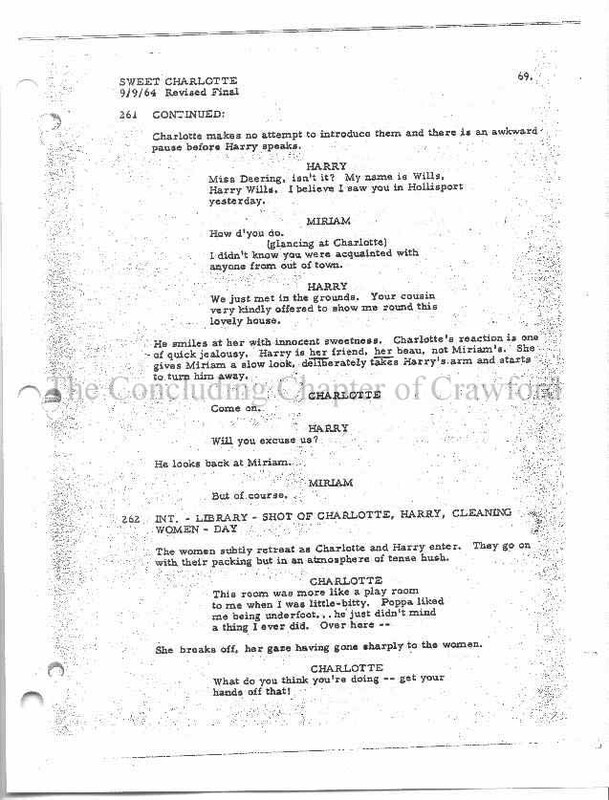 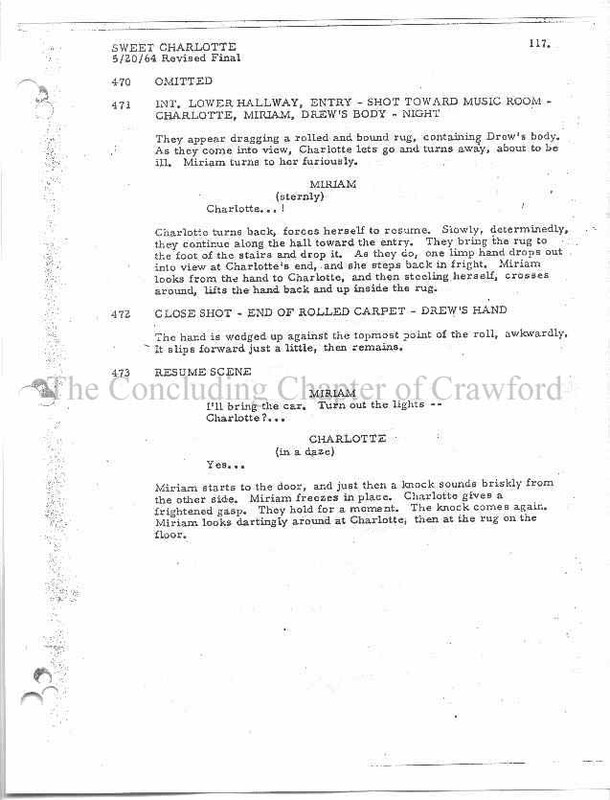 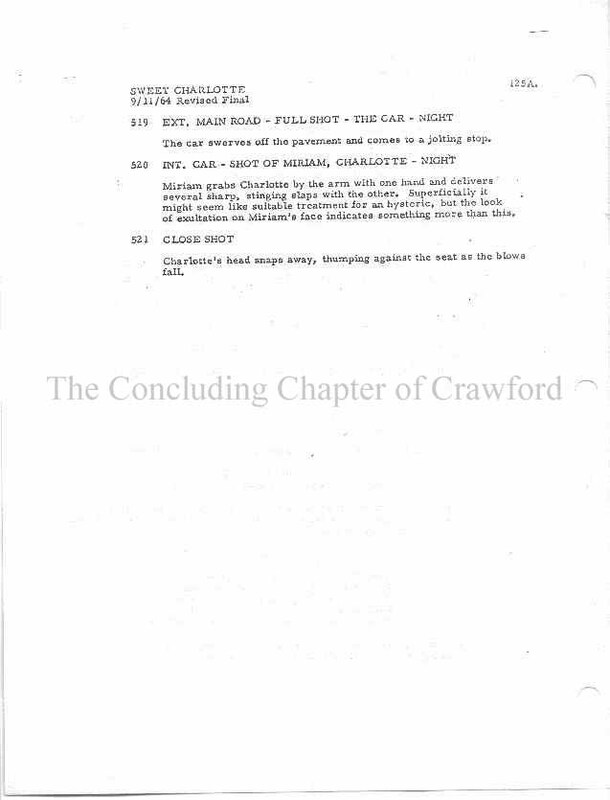 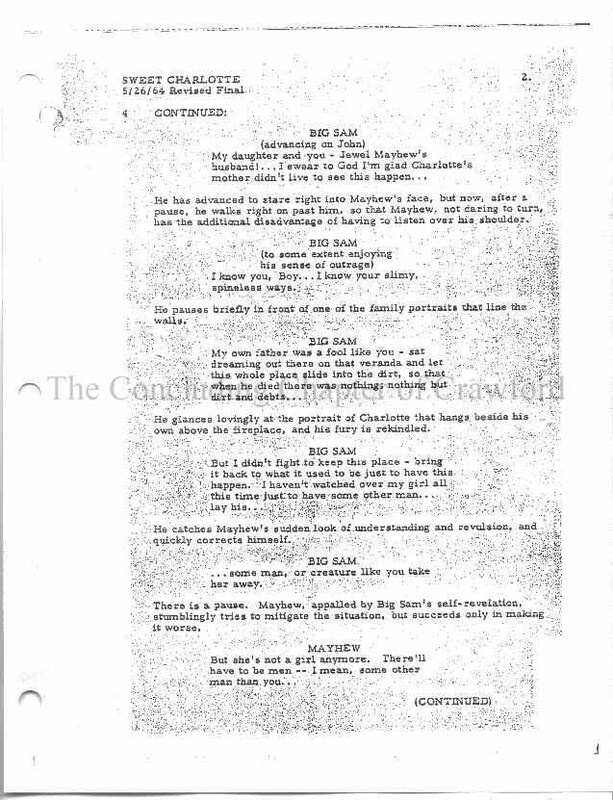 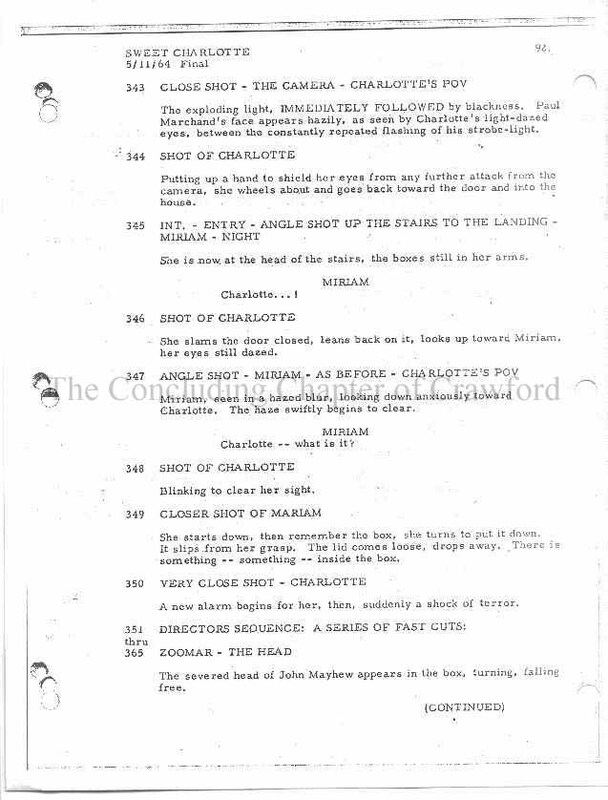 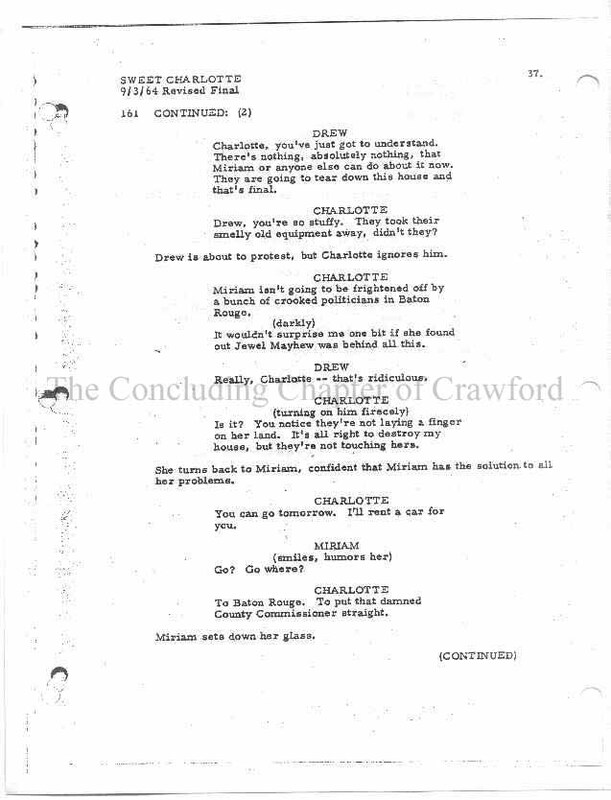 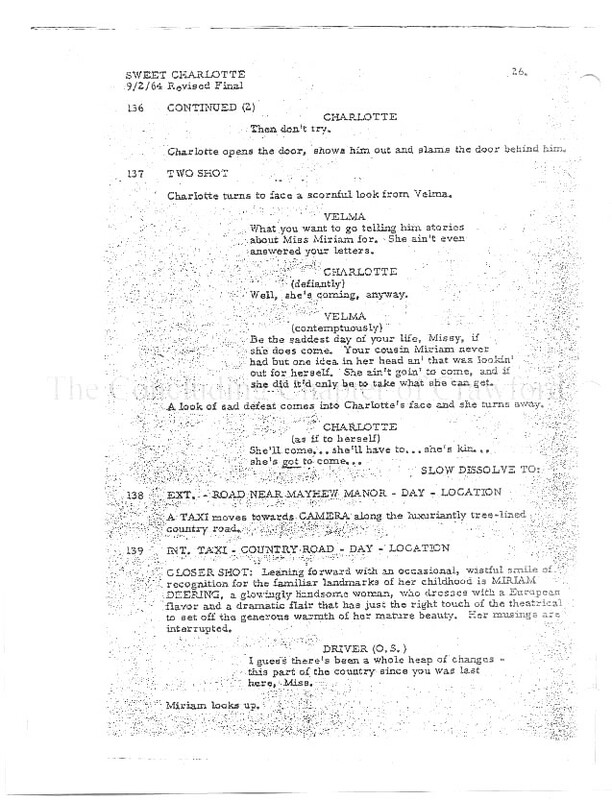 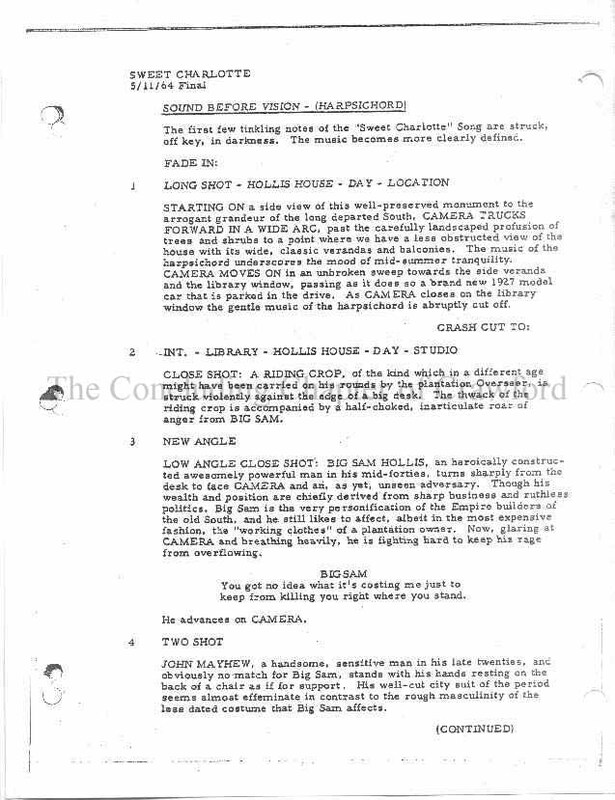 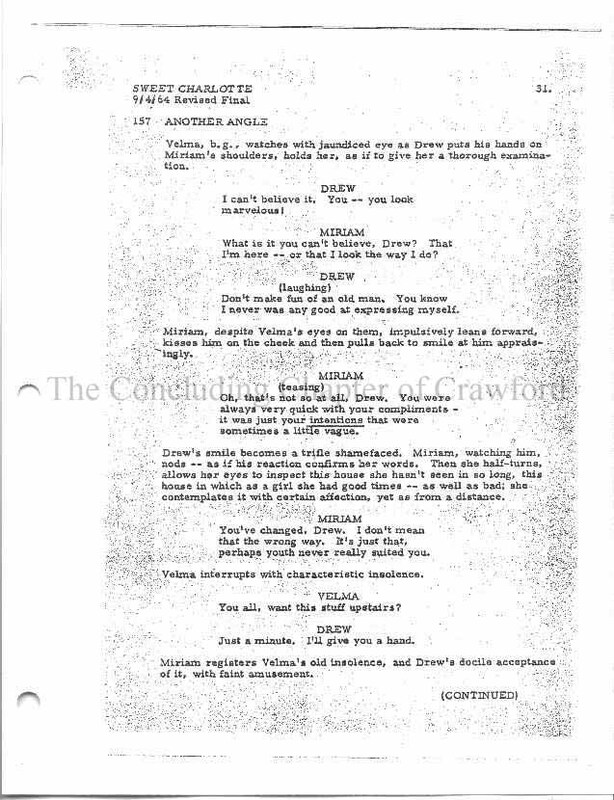 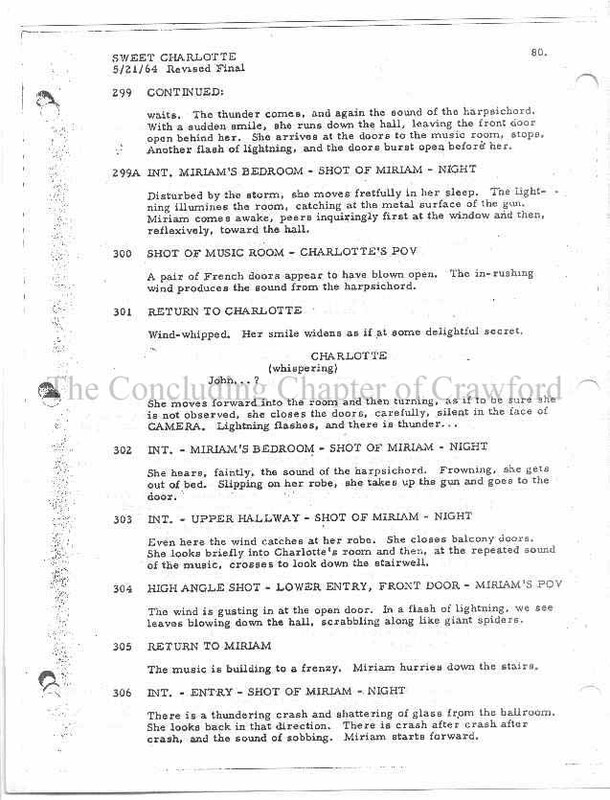 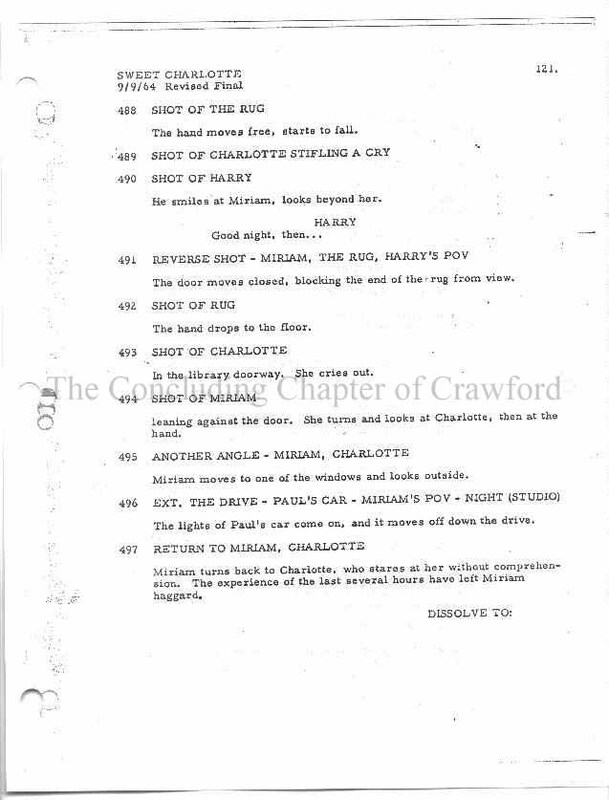 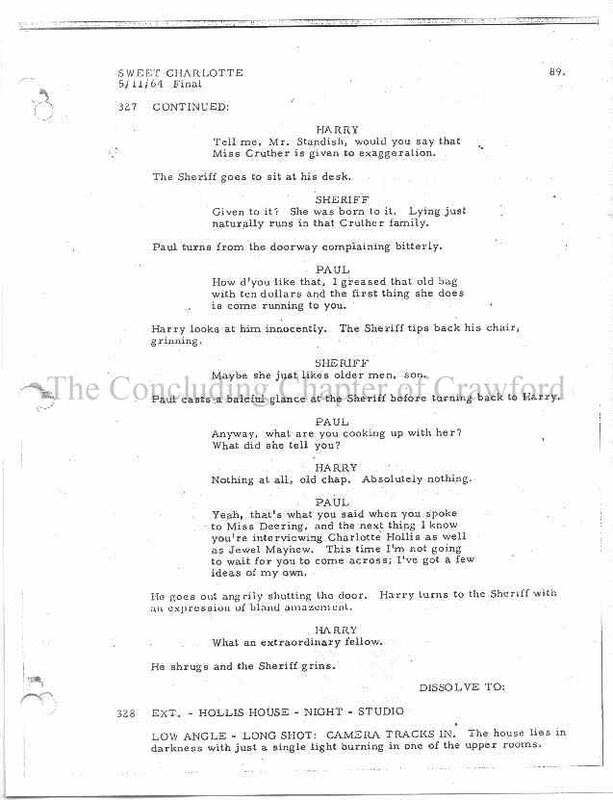 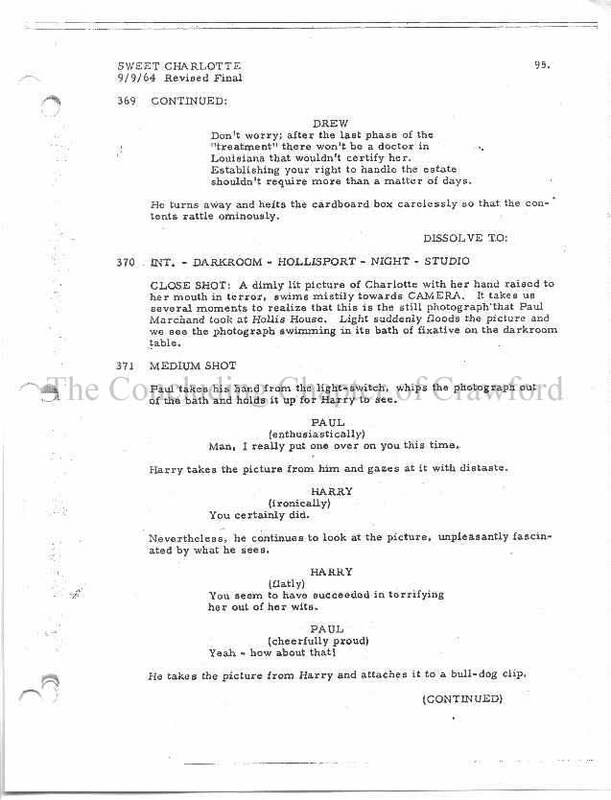 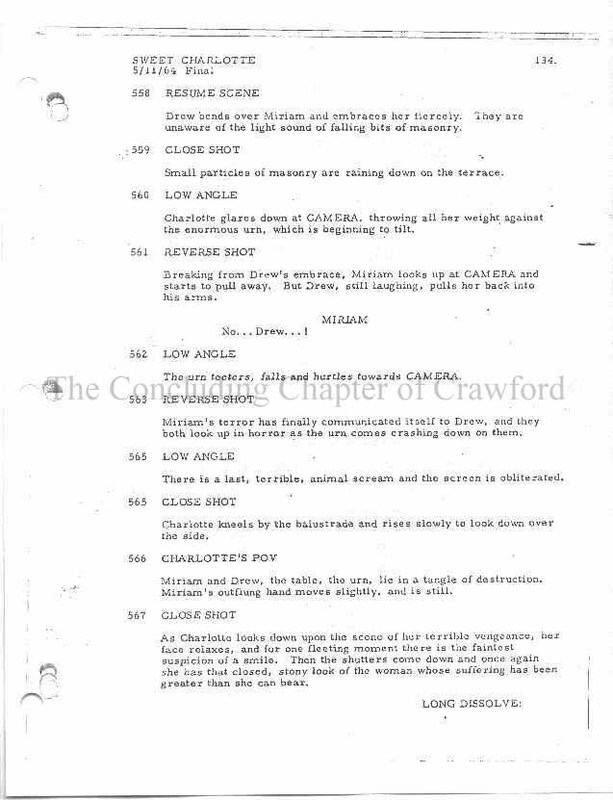 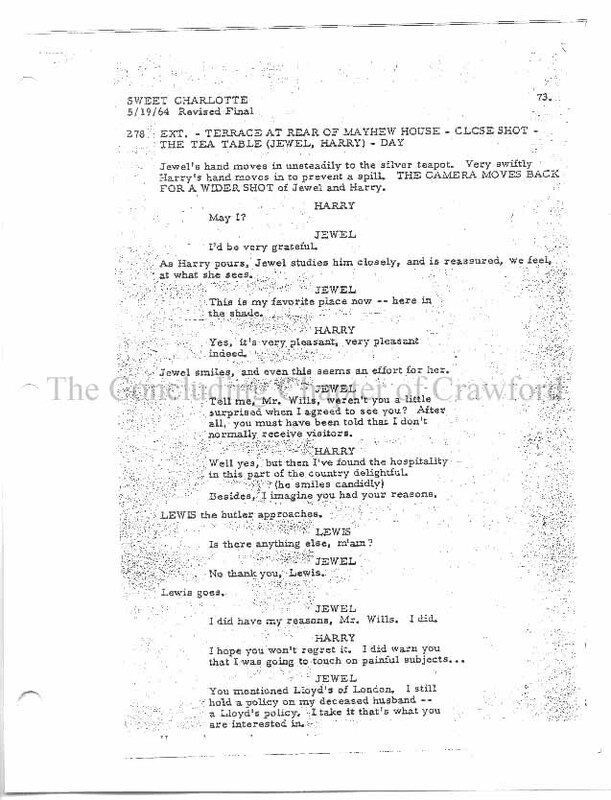 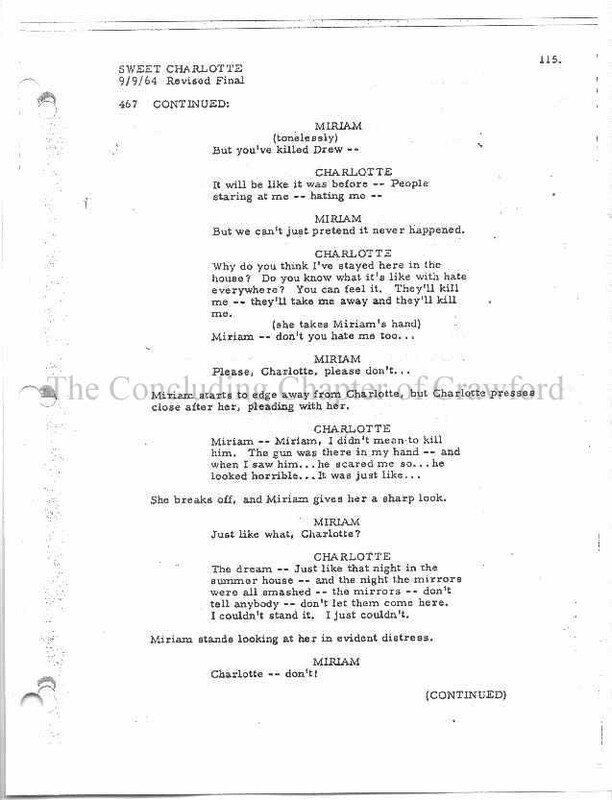 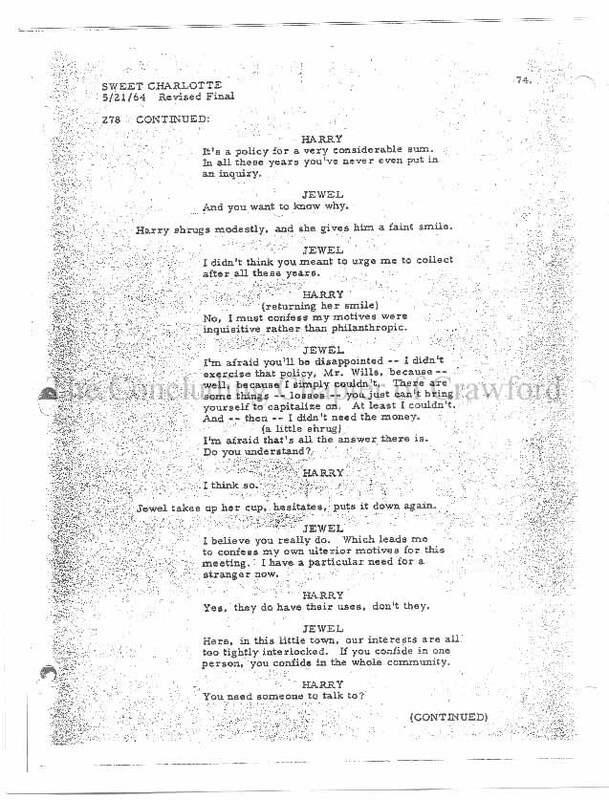 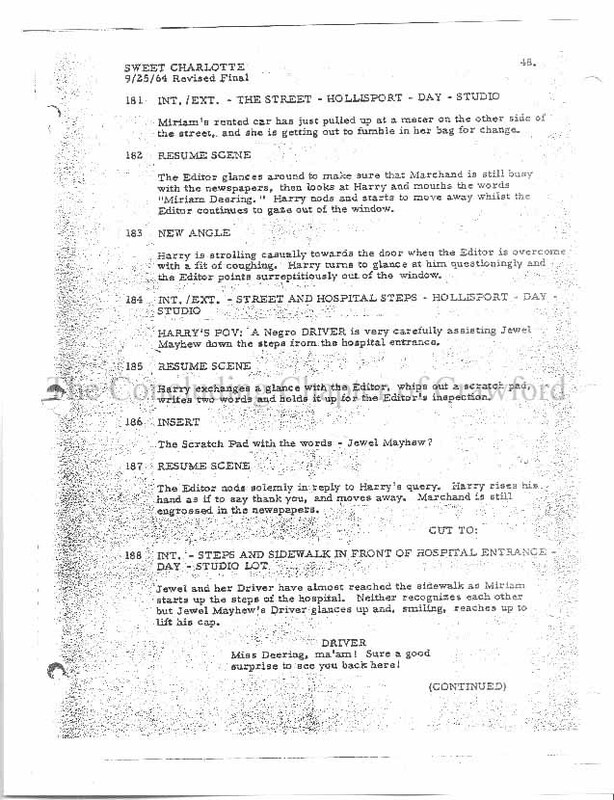 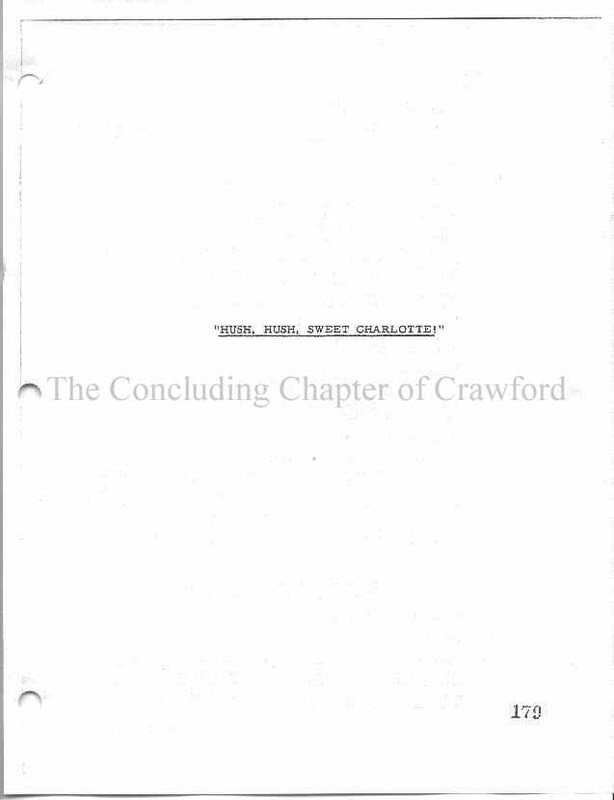 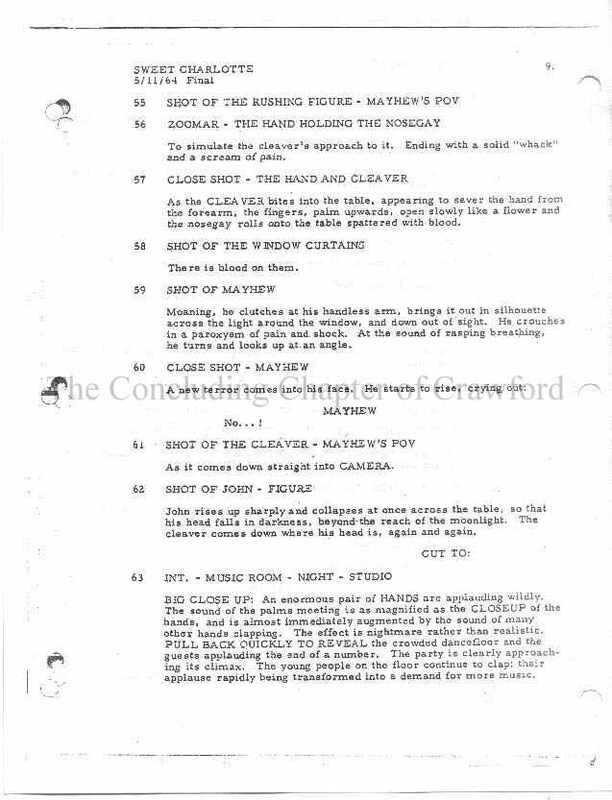 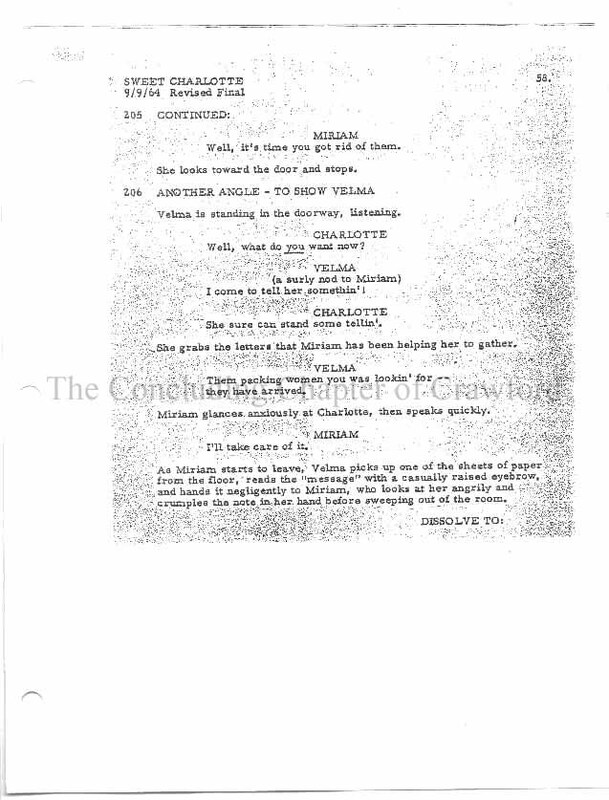 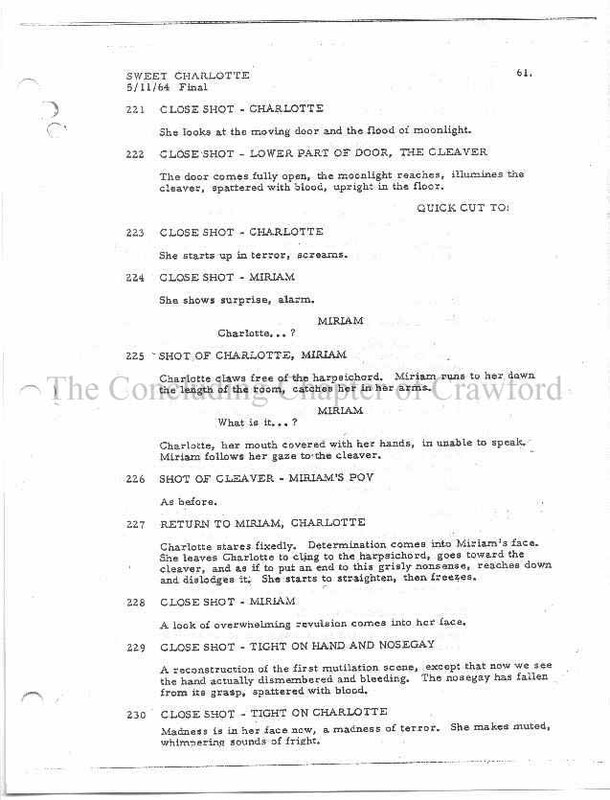 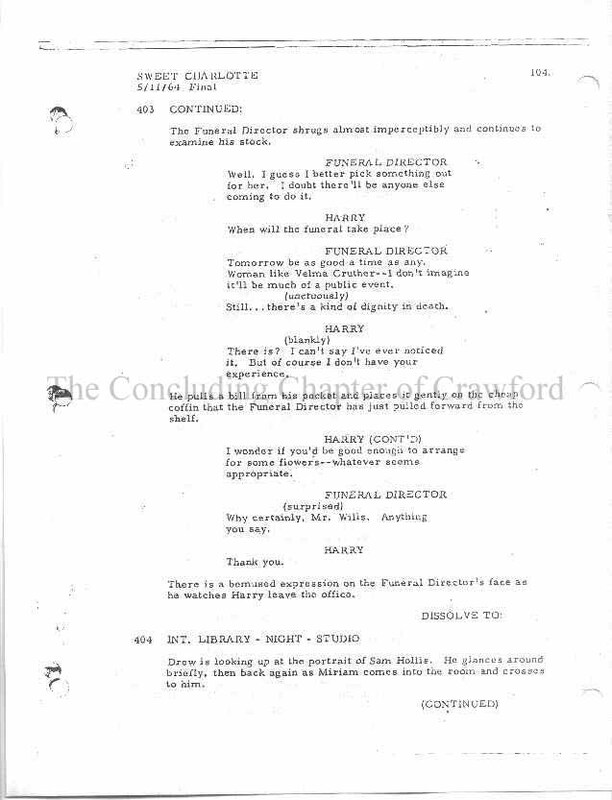 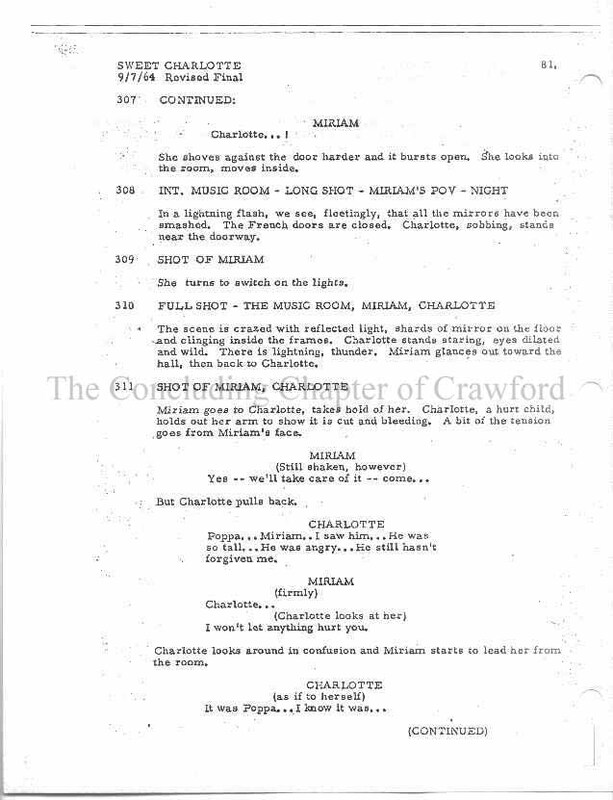 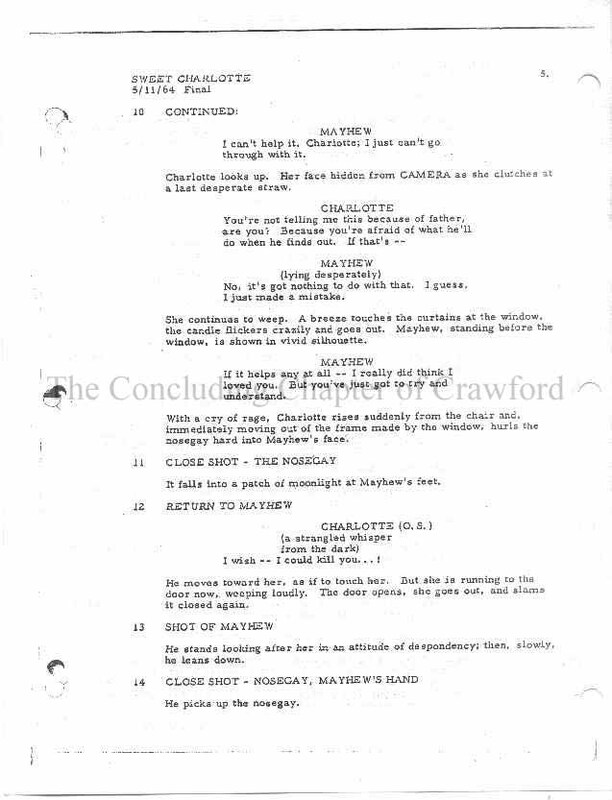 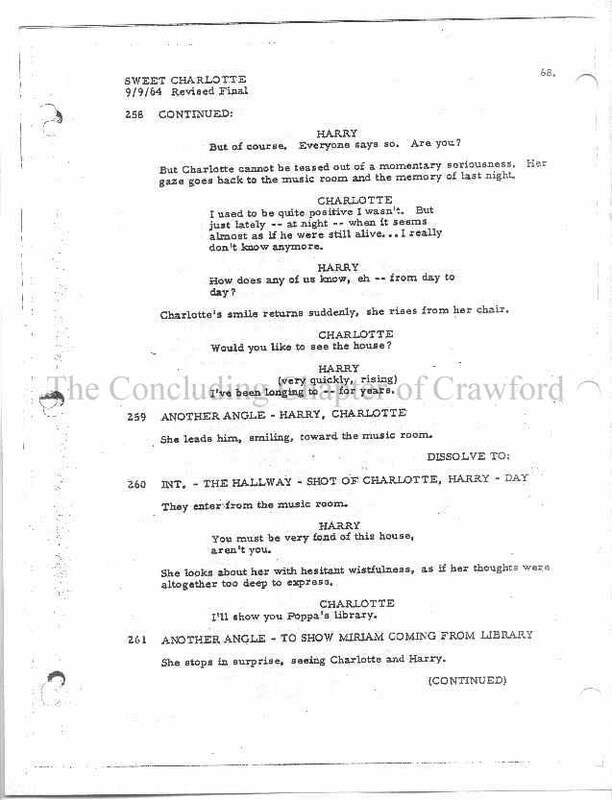 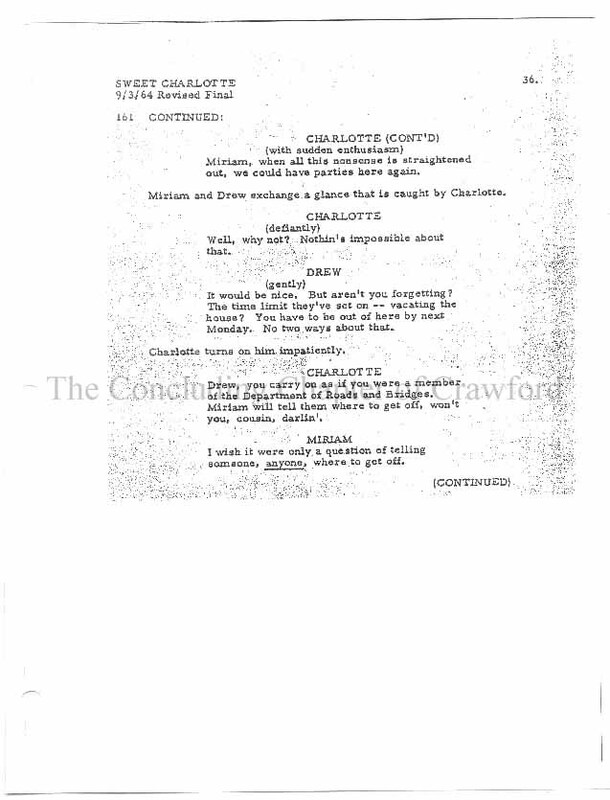 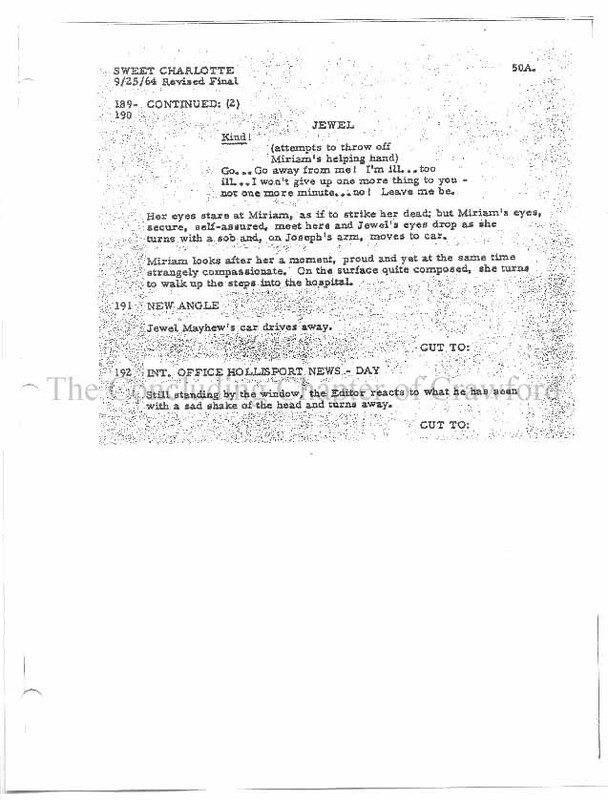 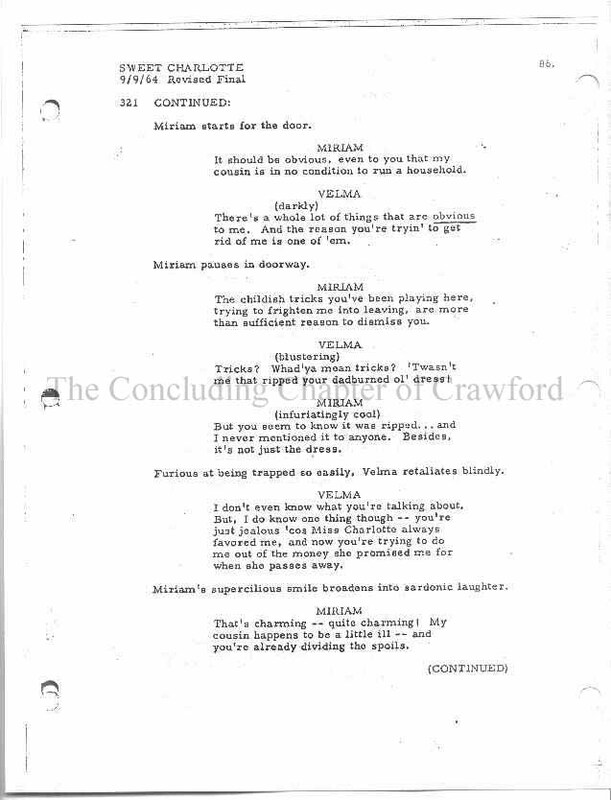 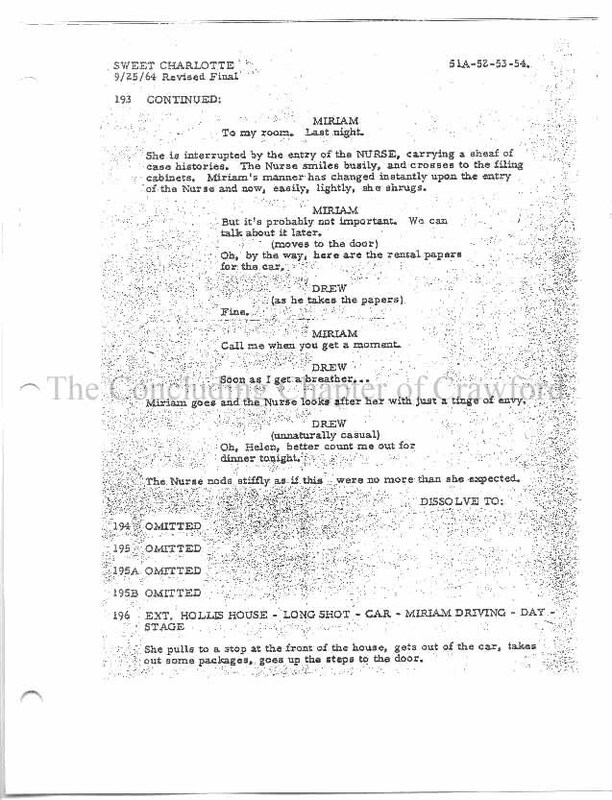 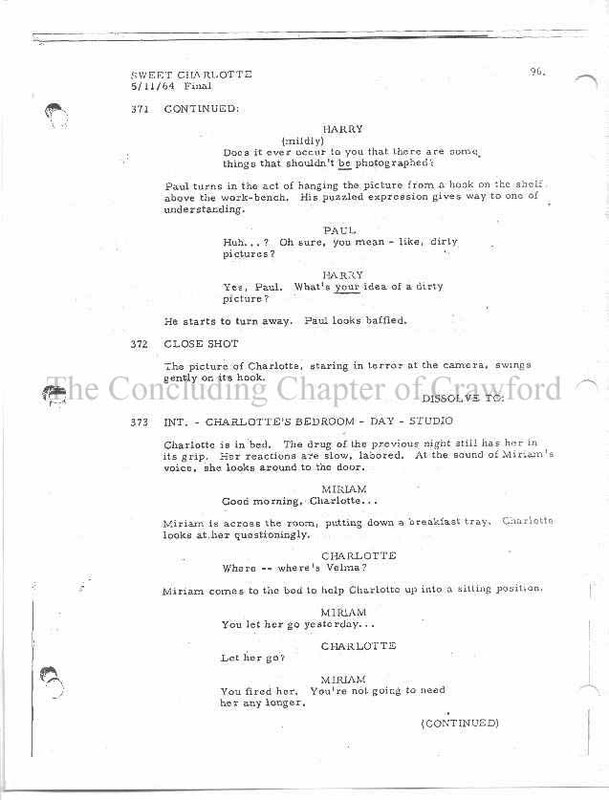 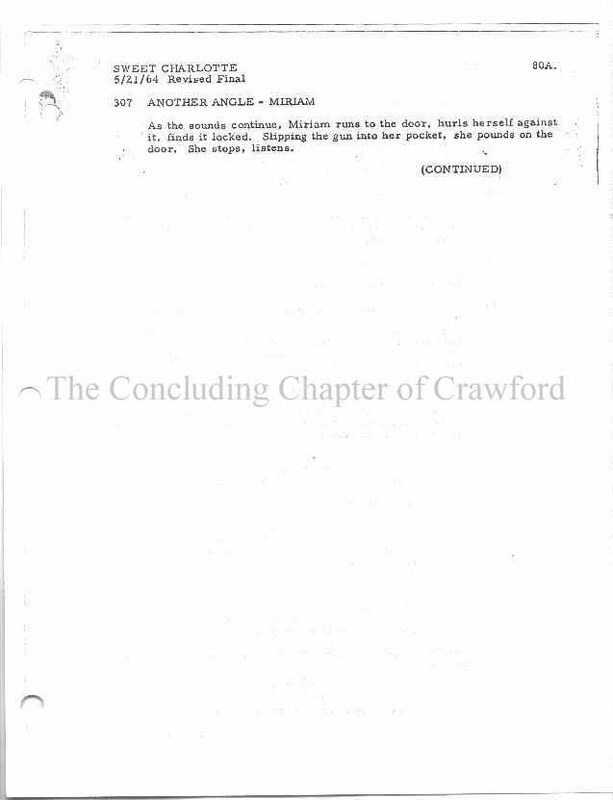 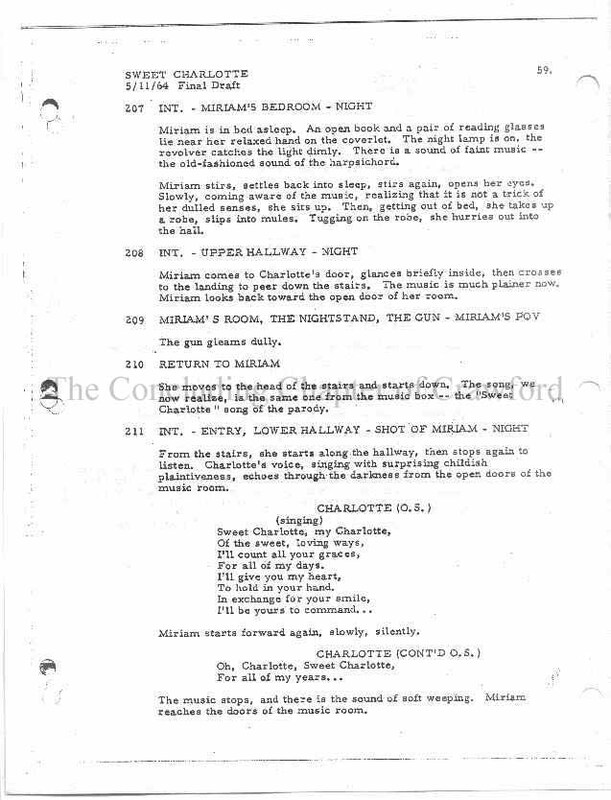 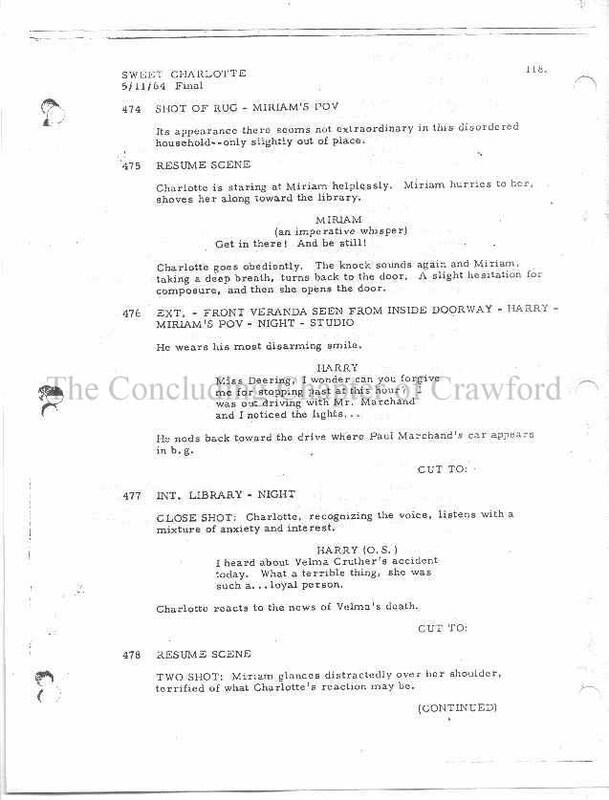 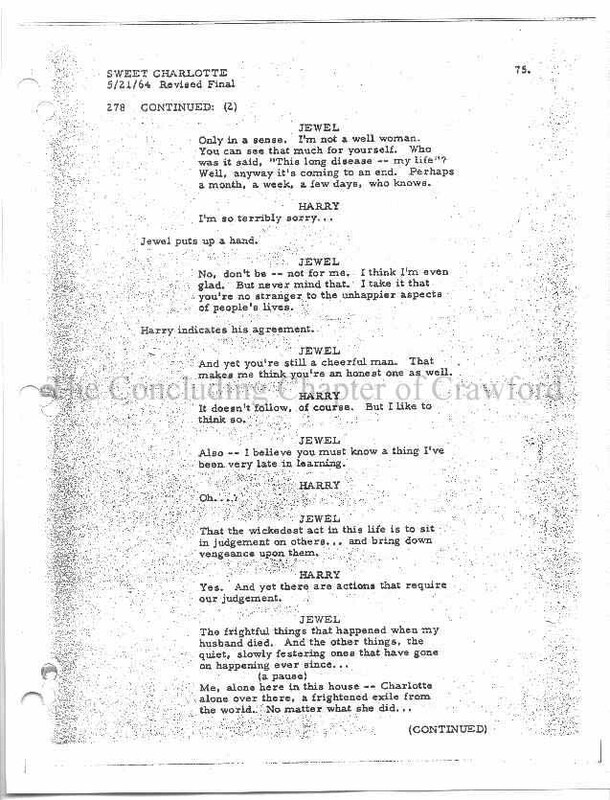 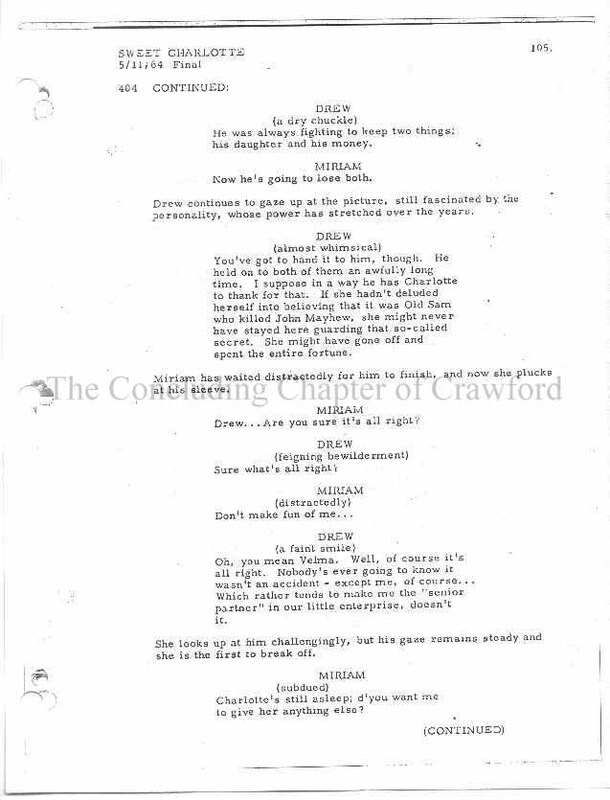 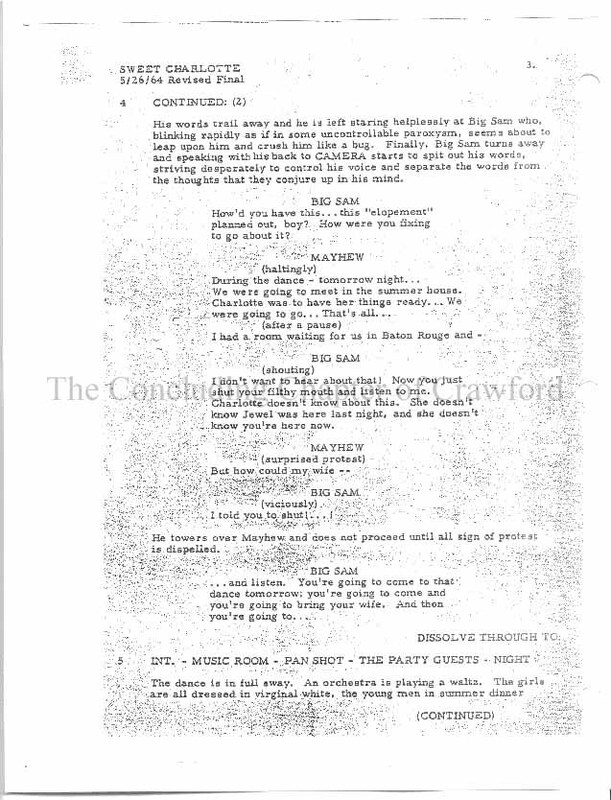 The complete final draft (shooting script) of "Hush...Hush, Sweet Charlotte"
The film's original script was drafted on March 23rd, 1964, with the complete "final" draft completed on May 11th, 1964, with scene revisions made on May 12th, 13th, 18th, 19th, 20th, 21st, 22nd, 26th and 29th (before principal photography began on June 1st, 1964). 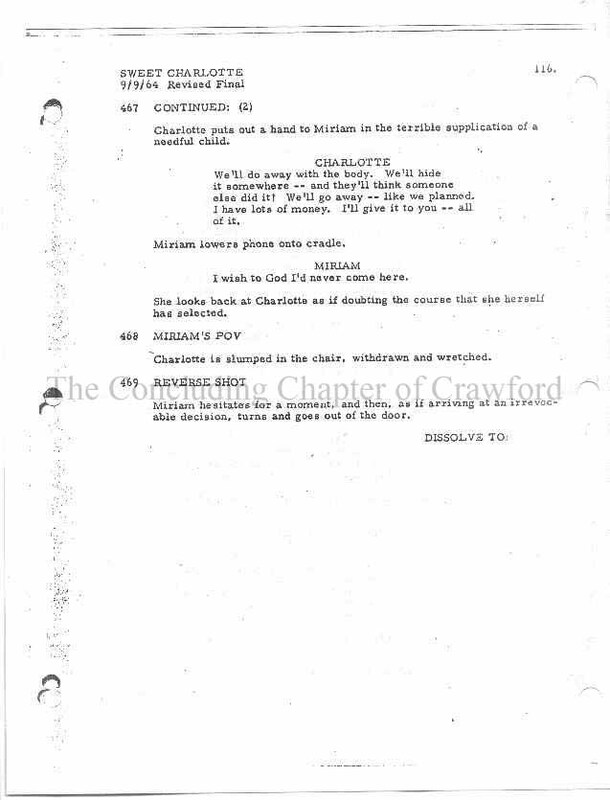 The script received a very large overall revision following Joan's official termination from the production on August 24th, 1964. 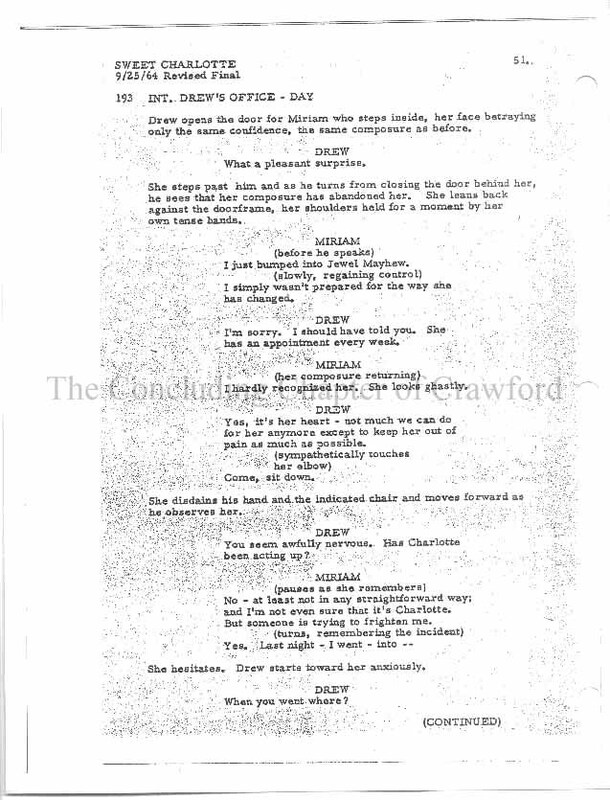 Olivia de Havilland requested the character be rewritten to her specifications upon accepting the role.